I guess a bit of history is in order here. My father was an avid photographer. In fact, I learned at a very early age the basics using my Dad's Kodak Retinette 1A, which was a very basic range finder. Basic in that there were no auto modes, and you had to use a hand held light meter. Thinking back, there is no better way to learn photography than with a strictly manual camera with no built in light meter. Forcing you to use a hand held sure reinforces the beautiful relationship between shutter and aperture. I digress. My father always loved Pentax, possibly because his dream camera when he was a teenager was an Asahi Pentax SLR which he could not afford at the time. He ended up buying a Pentax P3 in the mid 80s at a discount store no less. Because my father loved Pentax so much, when it came time for me to get a camera for photography class, I ended up with a Pentax SF10 which was one of the first auto focus cameras on the market after Minolta made the first big splash. I still have both of these cameras and their lenses in another camera bag. I might take the time to do something similar for that camera bag at a later time. Mind you, both are 35mm film cameras and haven't seen much daylight since 1999 when I made the switch to digital. 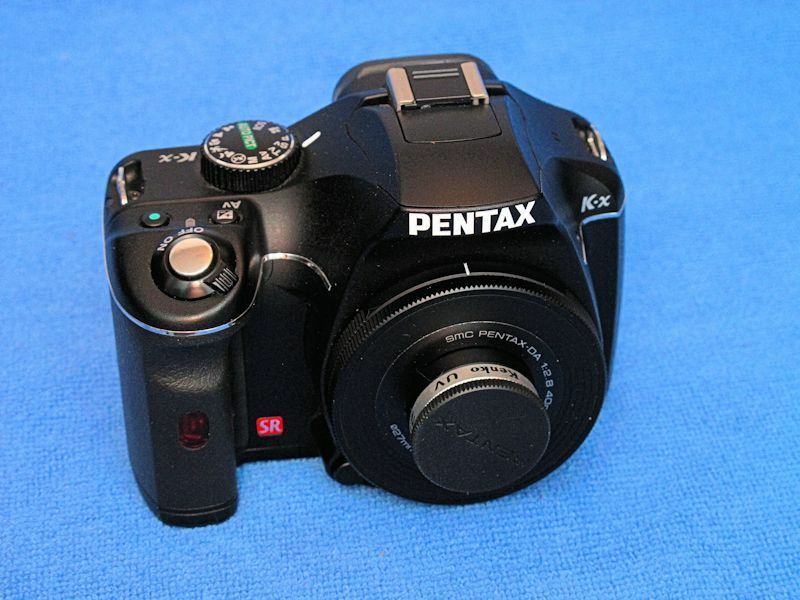 When my father was dying of cancer, I wanted him to enjoy the digital age and bought him a Pentax K10. The irony wasn't lost on me seeing that I also had an Olympus OM10, then ended up with a Pentax SF10, and later bought my father a Pentax K10. Looks like I am attracted to the number 10 in camera models. During this time, I was mostly using the Canon camera system. Well my father bought a few Pentax lenses, and I ended up buying a few more. When he passed on, I ended up inhering the Pentax system. This is why I have currently 2 systems, Pentax and Canon. I will say that my go to system for action will always be Canon. Pentax makes lovely lenses (I feel often better than Canon) but the whole system is let down by slow auto focus...at least compared to Canon. I use my Pentax's quite a lot though, and am happy I have both, although at times, there is a lot of overlap. What I like about the Pentax system, it mostly fits in one largish camera bag. 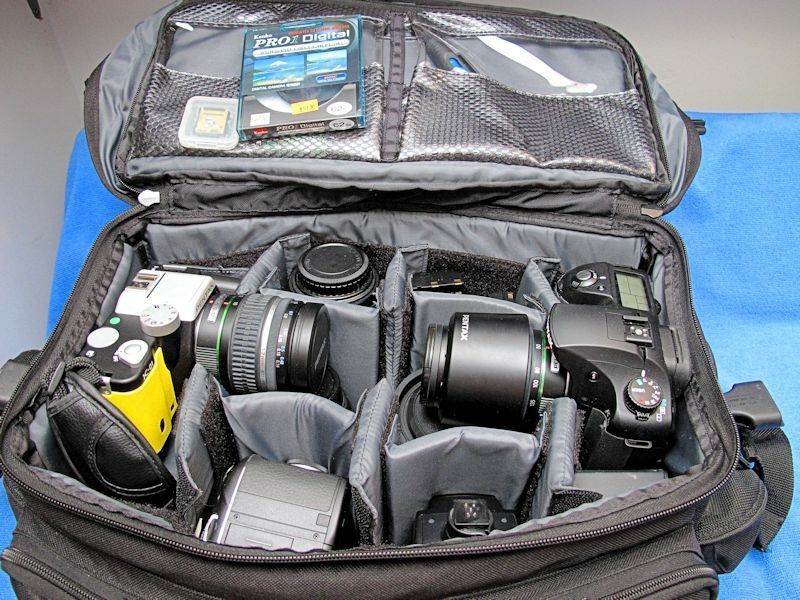 The Canon system is a little larger and will not fit in any one bag. Thumbs up for the convenience factor I guess. 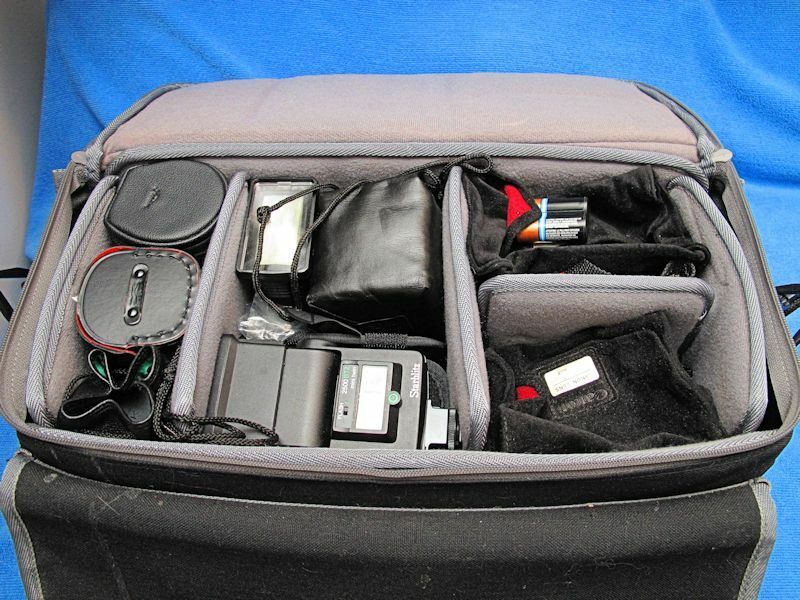 My Pentax kit will just fit into a full sized Tamrac Pro 12 camera bag. The top lid is held on via 4 plastic snap buckles. One the rain water flap is flipped out of the way, you have access to 2 largish front pockets as well as the main compartment. 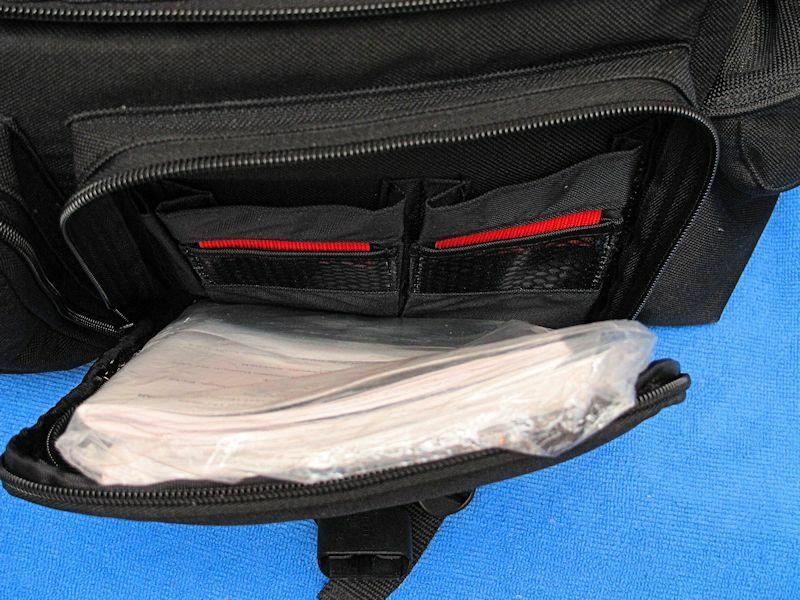 The two front zippered compartments are where I hold the various manuals, warranty cards, and computer cables. On either side of the Pro 12 are two Velcro compartments in which I hold the battery chargers. Time to open the main compartment. Under the lid are two pockets. 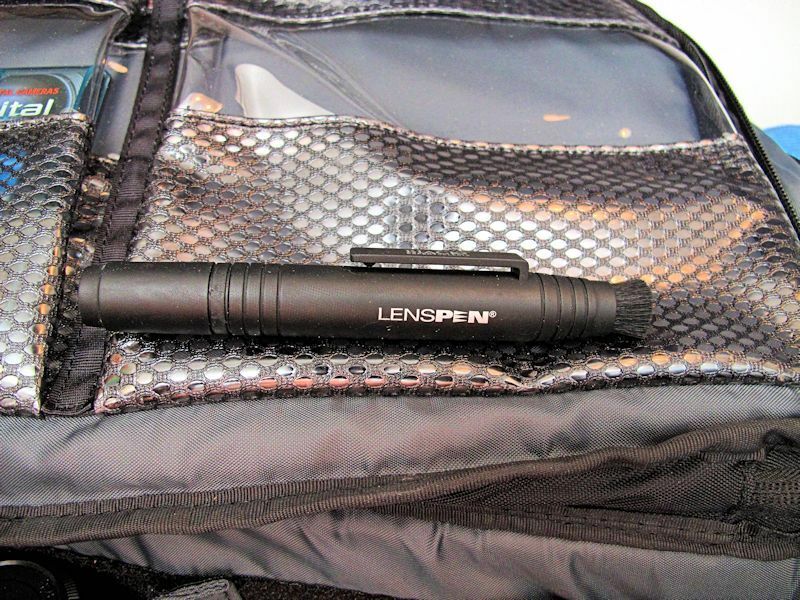 I always keep a lens pen in one and in the other, a spare memory card and a polarizing filter. Working our way from right to left is the Pentax K10. This 10 megapixel weather proof camera dates to 2007. Stored on the camera is a SMC Pentax DA 50-200mm f/4-5.6 ED lens. The lens is rather nice for a kit lens. I always try to get the battery grip for any of my digital cameras. I love how the camera fits my largish hands, I like how the camera can shoot all week with the extra battery, and I like how in portrait orientation, the extra shutter and camera control buttons make it easy to use the camera. All my Canon DSLRs have them. So when it was time to buy one for my Dad, I got him one as well. 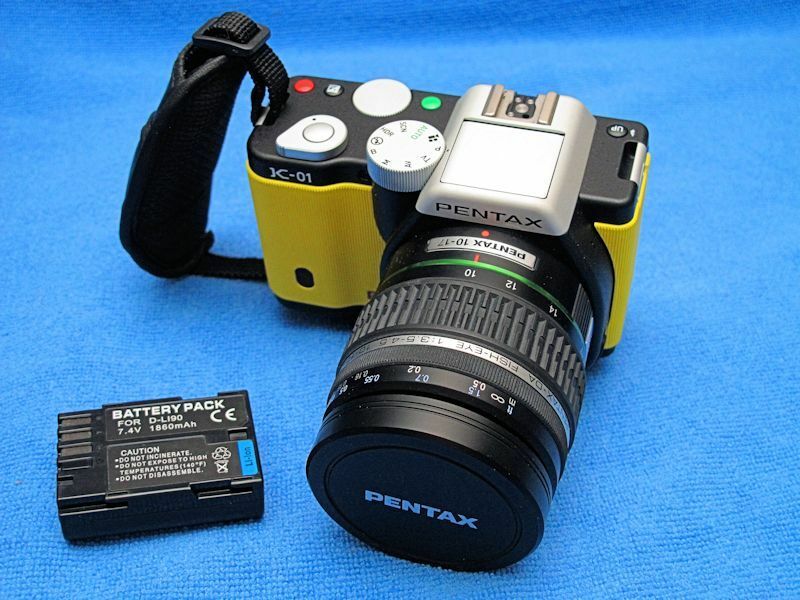 Now Pentax has a different philosophy on their battery grip compared to Canon. All of my Canons have room for 2 batteries in the grip. Pentax did it differently, and this is a bit annoying. The battery grip for the K10 only has room for one battery. The other battery fits into the standard camera compartment. 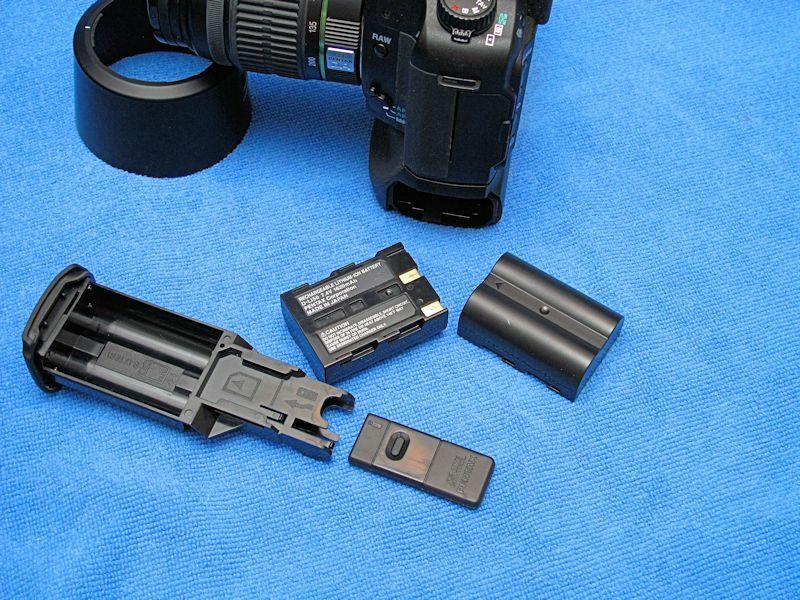 This means, if you need to recharge both batteries, you have to take off the battery grip to get to the other battery in the standard camera battery compartment. 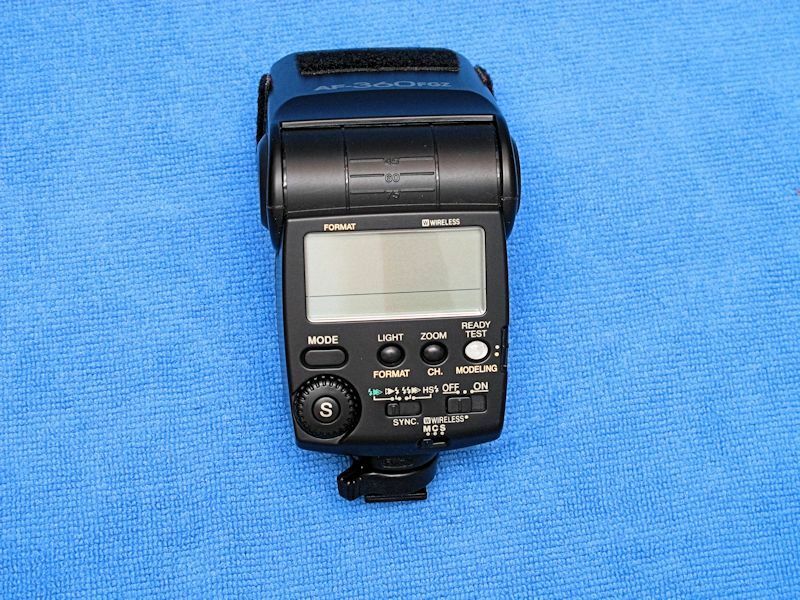 On the other hand, there is room for a remote camera shutter release to be stored in its specialized area. You can see where it would slide in on the end. I just wished that they placed both camera batteries in the battery grip. Sitting next to the Pentax K10 is this set of 55mm close up filters. 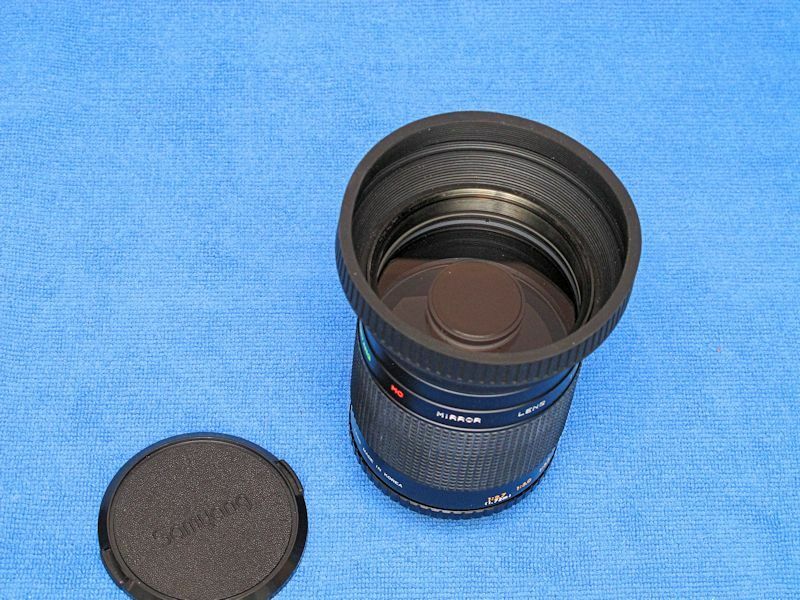 In its own compartment, a Sigma 28-300mm f3.5-6.3 macro lens. 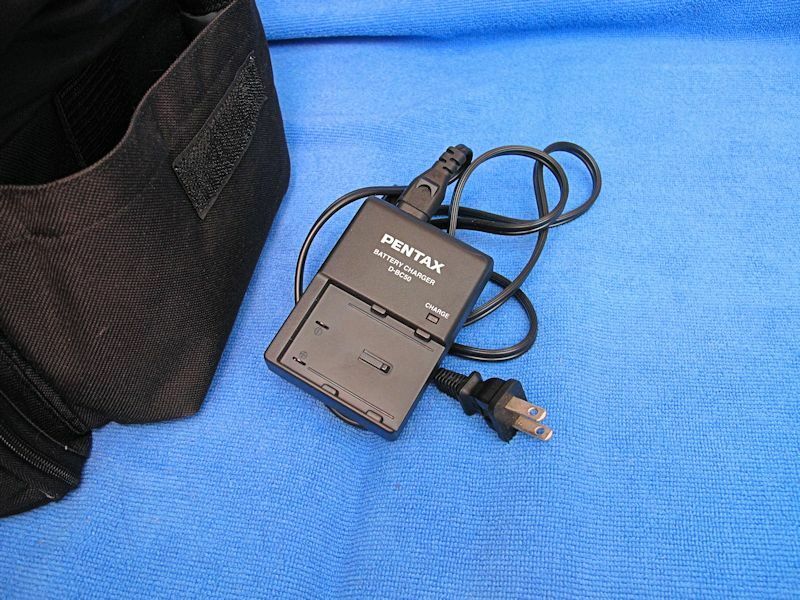 This came with the Pentax Kx dslr camera when I bought it used at the local pawn shop. 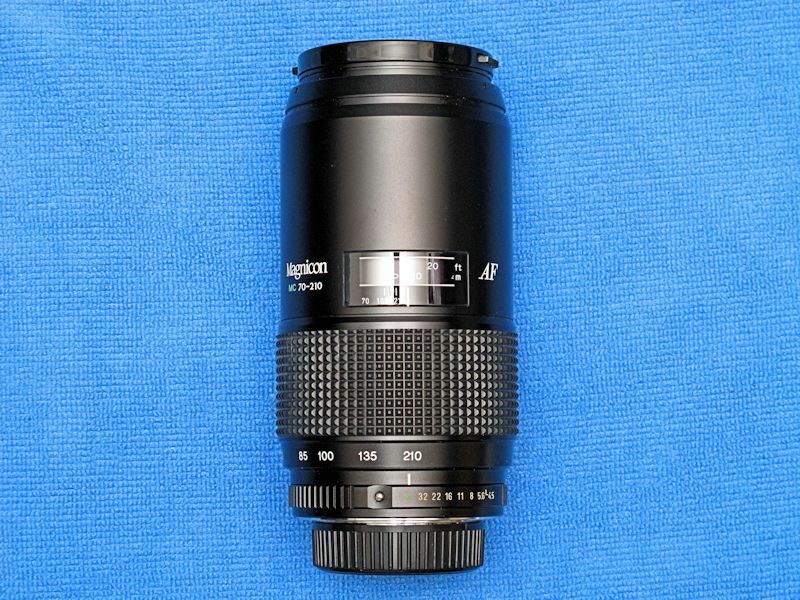 This lens does feature a locking mechanism which keeps the barrel from creeping out when in storage or when your using the lens. This is a nice focal length but doesn't give all that much in the wide angle area. With a crop factor of 1.5, the lens turns into a somewhat 42mm to 420mm lens. Which is normal to telephoto range. In the film days, 28mm was your bog standard wide angle lens. 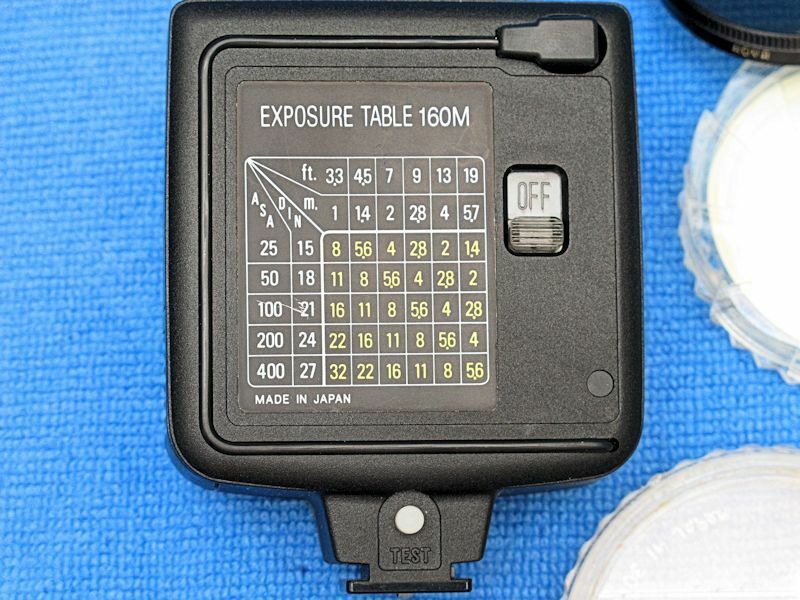 Because most digital sensor areas are smaller than the area of a 35mm film, you have to multiply your crop factor with the lens focal lengths to see what your end results will be. All in all, not a bad lens considering I got it free. 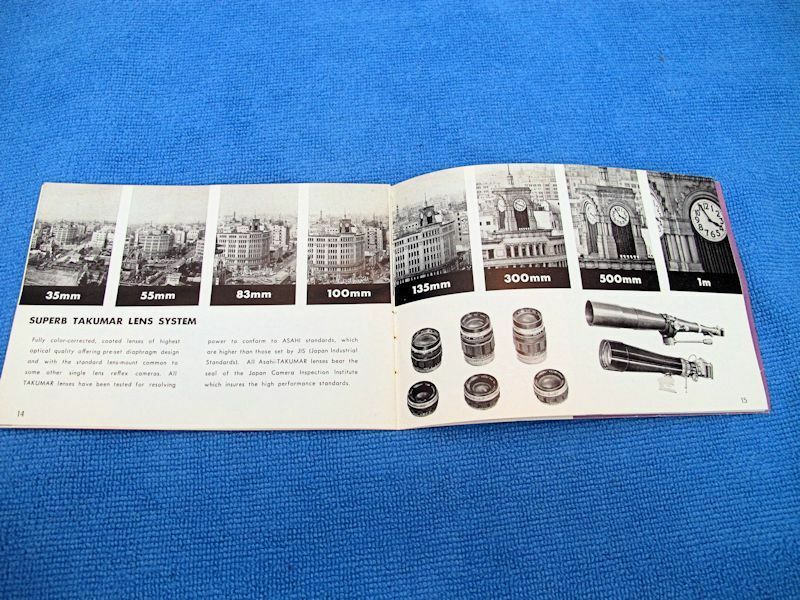 As with most super zoom lenses, they do tend to expand dramatically when at the upper reaches of magnification. The next lens is a rather interesting experiment of sorts. Ages ago, I had wanted something with a bit more reach, but wouldn't cost a lot of money. I found this Samyang 500mm f8 mirror lens with a Pentax K-mount adapter for cheap locally. At the time, I also was curious at the doughnut shaped highlights that such a lens gives. 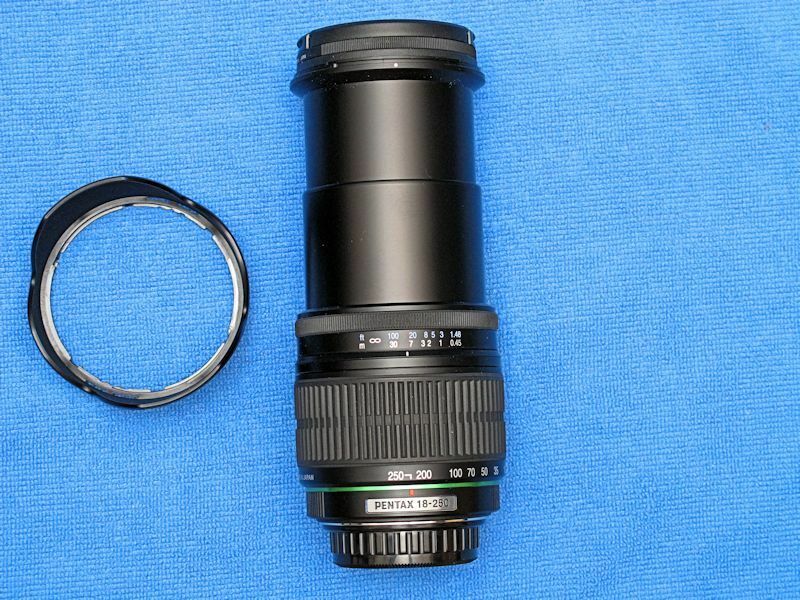 For those of you who do not know what a mirror lens is...it is basically a regular long telephoto lens that is half the size because the light is reflected off mirrors inside the lens body. You can tell mirror lenses because they tend to be overly large diameter lenses with a round center bit that contains a mirror. Basically, the light enters the lens, is reflected from the rear of the lens back to the front, focused onto the center mirror disc, and bent into the camera onto the image sensor. 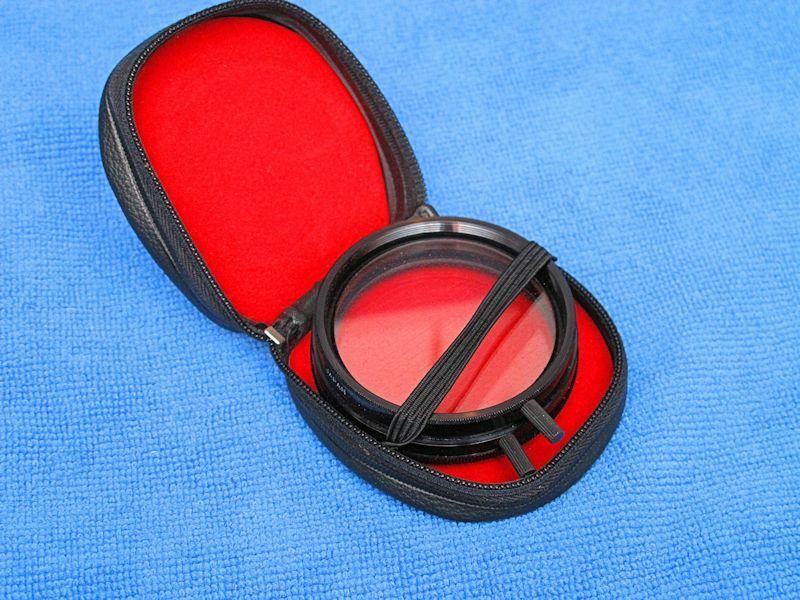 I quickly found that this mirror lens is quick and easy to field, but you have to be sure on your support or to brace yourself as any vibration will detract from your photograph. 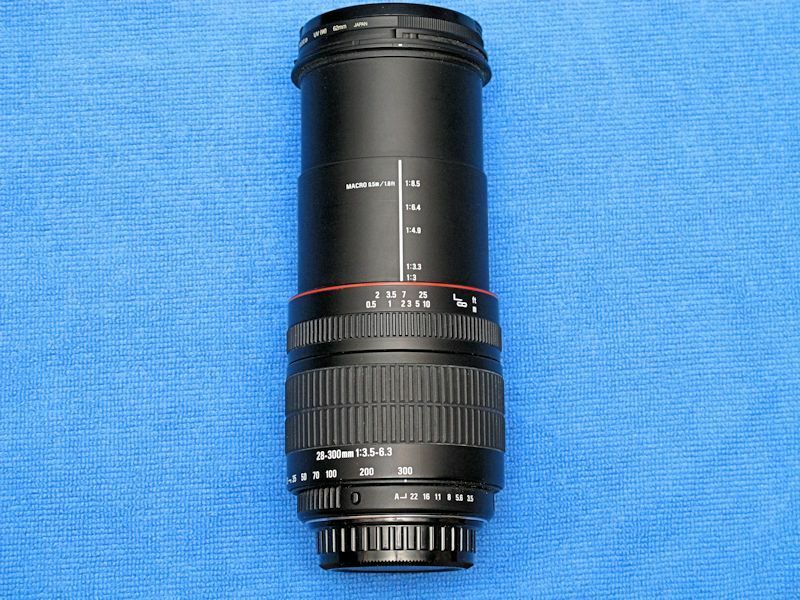 With proper technique, I have found this cheap lens to give some good results. It is light, cheap, and completely manual focusing. It is a fun lens to play around with. The quality of the images isn't on par with a more expensive lens...but you can make the images a lot better using Photoshop these days...so that might not be as bad a ding on the lens as one might first surmise. See the center mirror disc in the lens' front objective? That is a sure sign you are playing with a cheap mirror lens. I have seen a better one on Amazon that is at least faster...f6.something. I am tempted to get that one as f8 is bog slow. With a filter diameter of 77 mm, filters for this can be expensive. 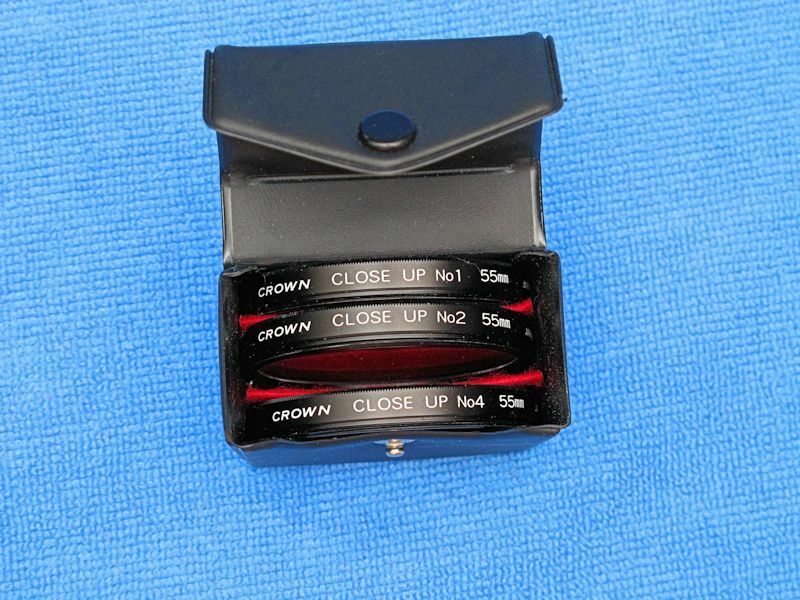 The lens does come with 3 smaller filters that screw behind the last lens element on the camera end. My sole flash is a Pentax AF360FGZ. 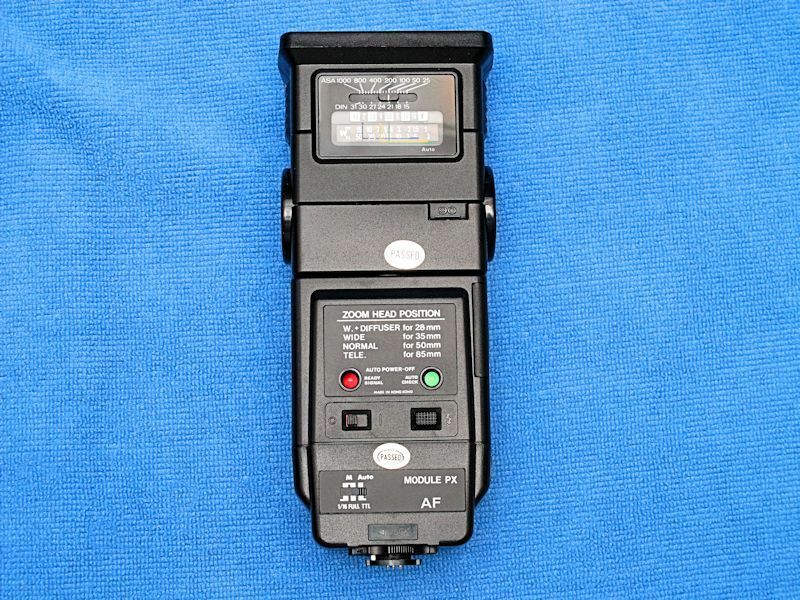 It is a great flash, but I feel I may need to back this up with another flash unit sometime in the future. 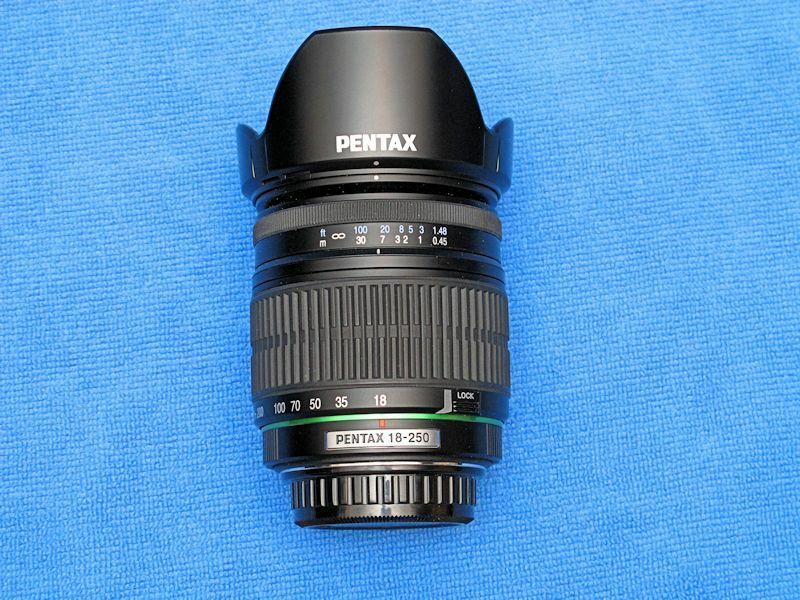 Next up is an SMC Pentax-DA 18-250mm f3.5-6.3 ED AL IF. 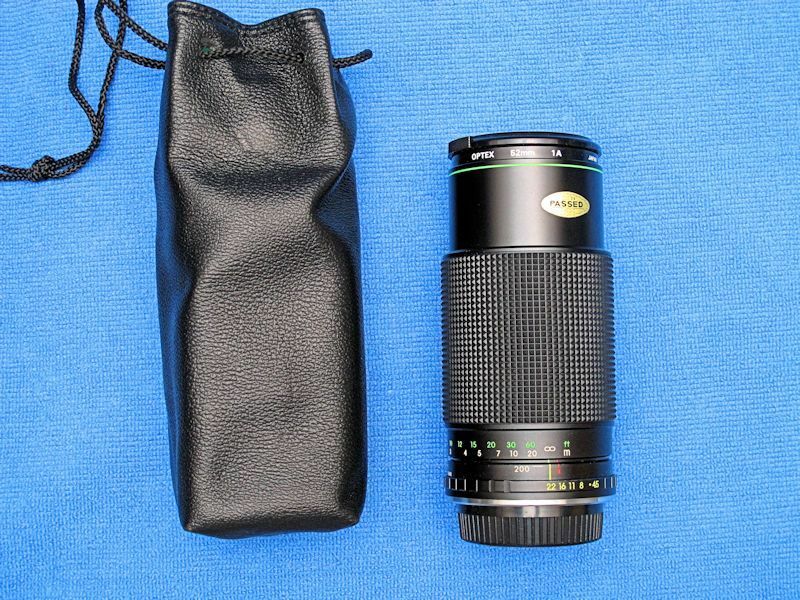 This is a very nice lens, and it is perfect for traveling. Unlike the above Sigma lens, this one is better suited for wide angle images. 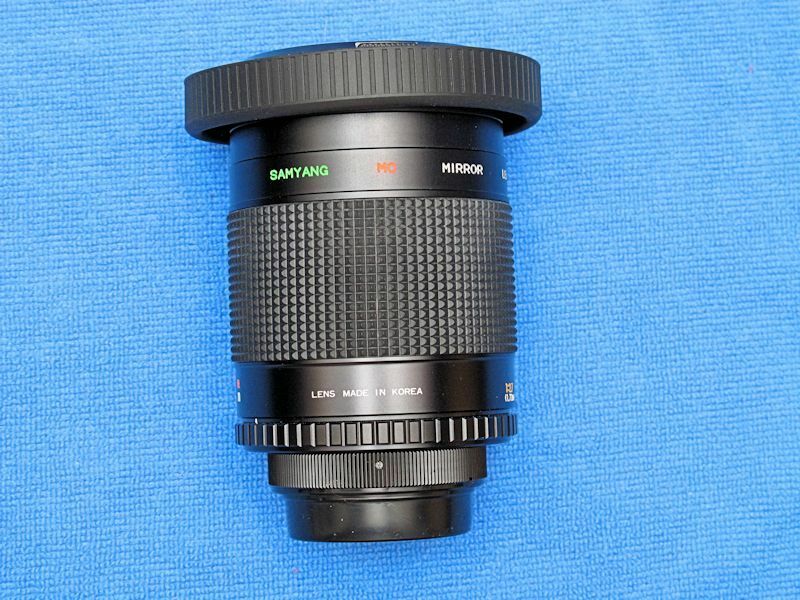 Hidden under the 18-250mm lens is this SMC Pentax FA 50 mm f1.4 lens. With the addition of that 1.5 crop factor, this very fast normal lens now turns into a very fast portrait lens. Also my go to lens when I need to play in low light. This is an older film era lens. I bought the lens shade afterwards as this lens didn't come with one. In its own compartment, this Pentax K-x was bought for a steal at the local pawn shop. Because of the limited room in the camera bag, I store it with the SMC Pentax DA 40mm f2.8 XS lens. The lens came with the Pentax K-01 as a kit lens. 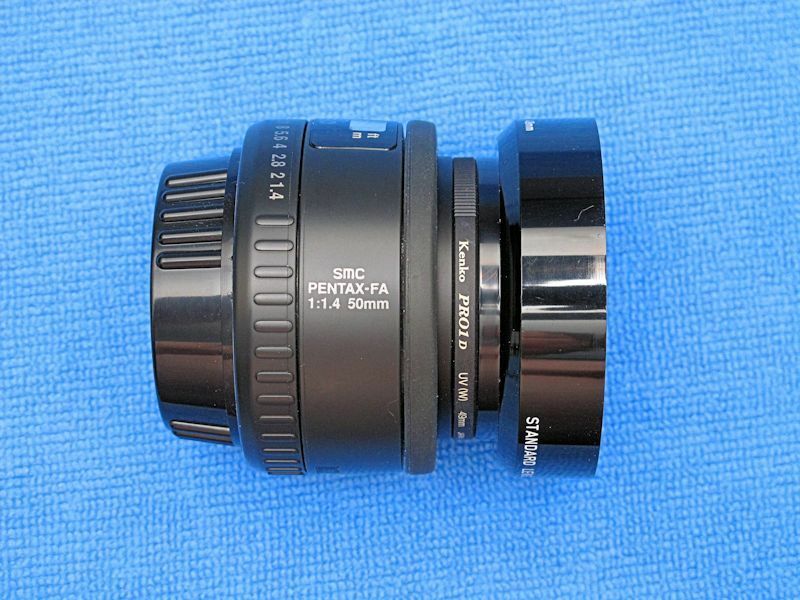 In fact, the 40mm XS lens is based on the phenomenal SMC Pentax DA 40mm Limited, but with some design input from Marc Newson, an Australian designer who had a lot of input into the Pentax K-01 design. I must say, this is my first of the so called Pentax pancake lenses, and although it looks odd on a DSLR, I can appreciate its compactness. 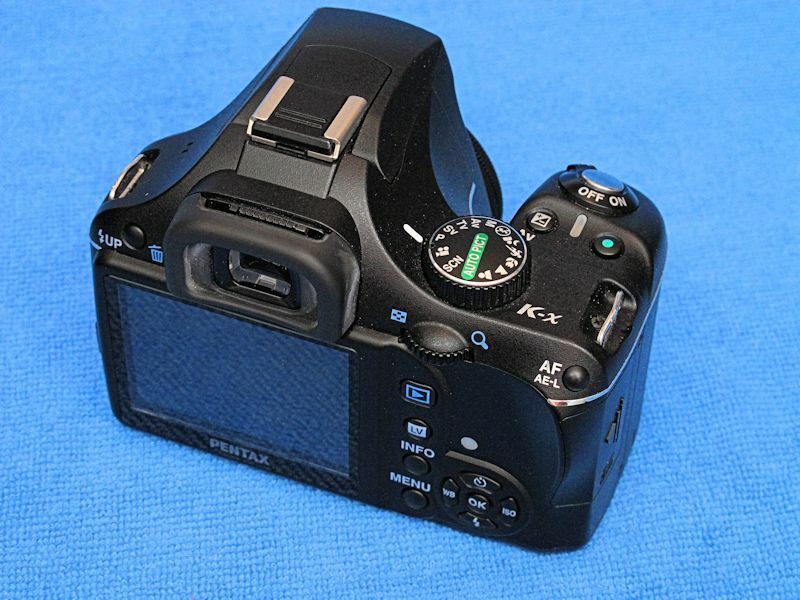 The Pentax K-X is a 12.4 megapixel entry level camera that is powered by 4 AA cell batteries. You will never run out of batteries as you can buy extras anywhere on this plant...well mostly. However, they do not last all that long. I found this camera for a steal of a deal at one of the local pawn shops. I can't argue with the image quality or function of this camera. I just which they made a batter grip for this camera. Sitting alone in its own compartment, a Tamron AF 70-300mm F/4-5.6 Di LD Macro lens. I had bought this lens to be my first wildlife lens. I found out that I wasn't completely satisfied with this lens. I needed something with longer reach, one of the reasons why I went with a cheap 500mm mirror lens. I tend to not use this one all that much. My biggest dig about this lens is its slow auto focusing. I know that with Pentax system cameras, the auto focus motor is built into the camera body and not the lens as with Canon. It just seems this lens is slower than most. 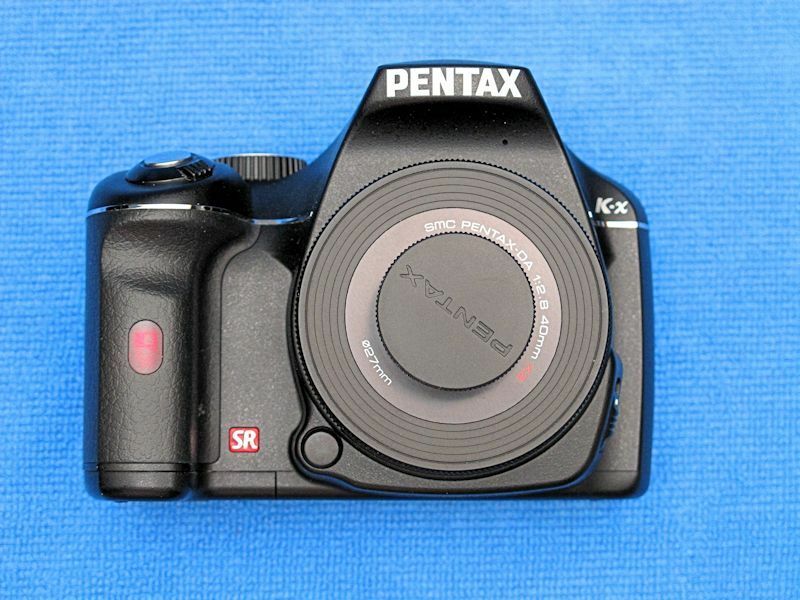 Next up is my third digital camera body, a Pentax K-01. When I first read about this camera back in 2012, I wanted one. I think I wanted one for the same reasons that made this camera a commercial flop for Pentax. This camera is hated by many Pentax photographers because it is a large mirror-less camera designed by Marc Newson, an Australian designer who had zero photography experience. 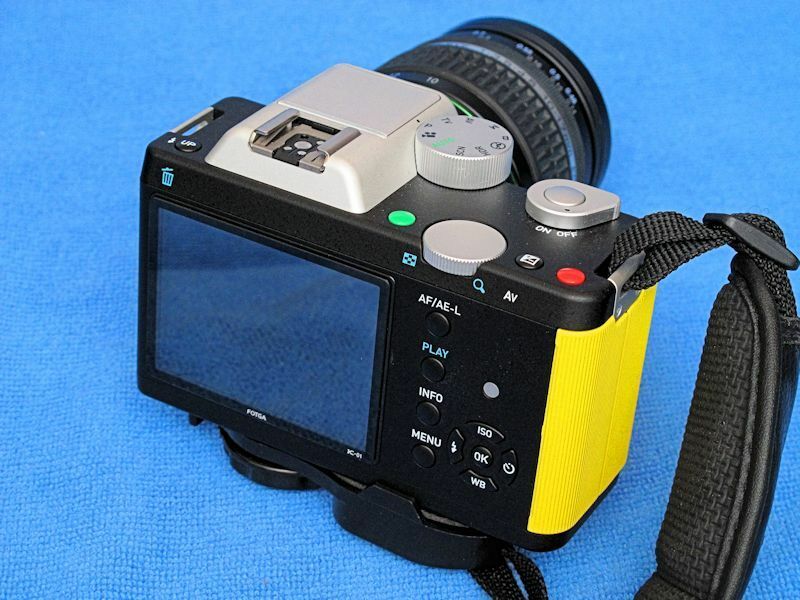 Hence this is a quirky camera with buttons that defy the usual Pentax excellence for button control placement. This camera features a 16.3 megapixel sensor that takes stunning images. I previously owned another mirror-less camera that I found too small for my large paws. 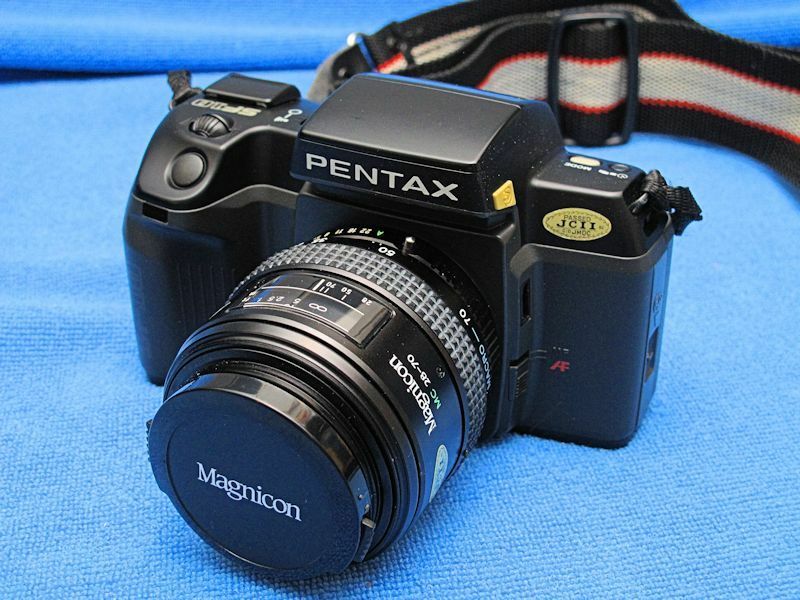 I liked this camera's size because you can use regular Pentax lenses on it. Bonus. I went with the most striking colour out there, the yellow and black. What I do not like about the camera is its lack of a viewfinder. Bright light tends to drown out the back LCD. On the camera is an SMC Pentax-DA 10-17mm F3.5-4.5 Fish-Eye ED IF lens. This fish-eye zoom is my most favorite lens on the Pentax system. By controlling the horizon, you can control how fish-eye your image will be. A very versatile and wonderful lens for wide angle photography. Incidentally, I got this camera for several hundred bucks new. I waited long enough to see the prices drop as this camera wasn't all that popular with photographers out there. I will admit, this quirky camera does take some getting used to. The designer did mess up some of the user friendliness with those odd button placements, but the end results in the photographs make this one sweet camera. Its quirkiness does grow on me. 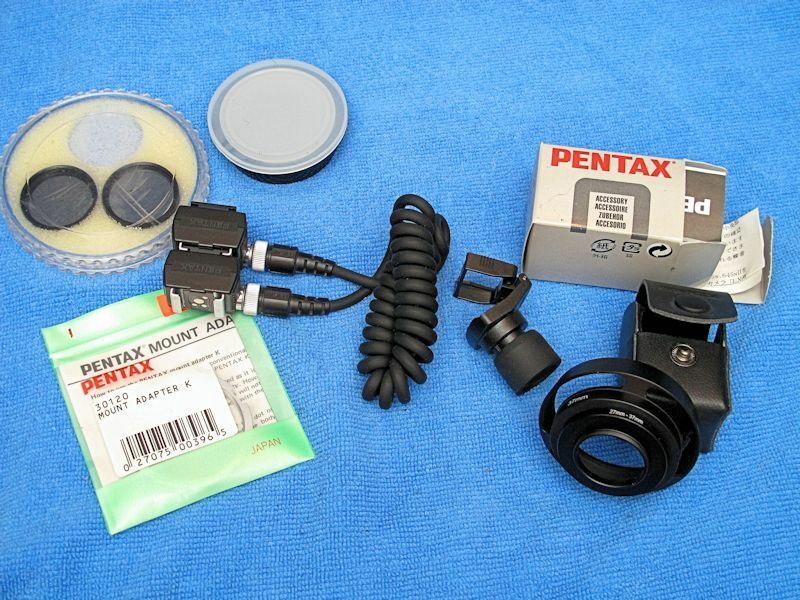 Under the K-01, is stored a Pentax flash sync cable. This cable is used with a camera flash bracket to get the flash high. This helps with lighting and also in eliminating red eye which is caused by light bouncing off the red blood vessels in the back of the eye directly into the lens. Move the light source up, and you won't get that issue. I also find that moving the light upwards hides shadows behind subjects that might be standing on a stage, etc. 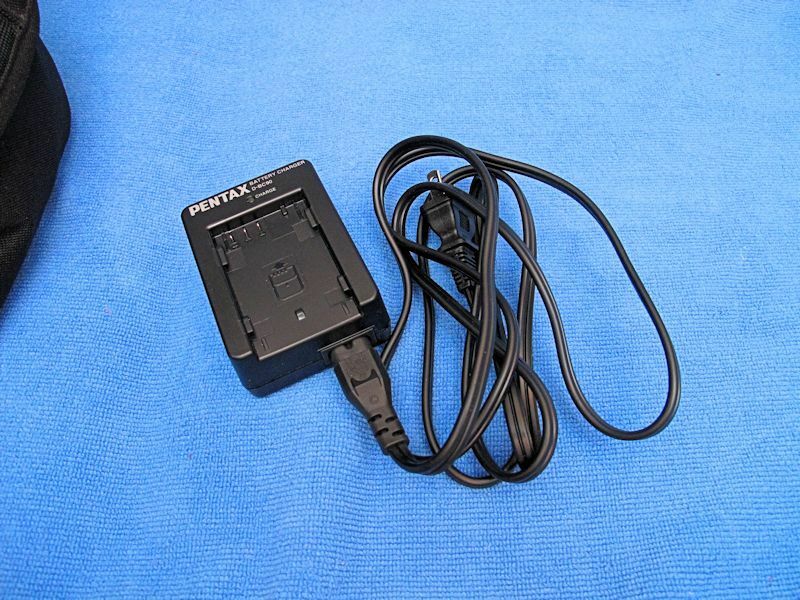 Also stored here is a useful Pentax flip up eyepiece magnifier used for detail work, or for taking photos of documents. I also have a 27mm to 37mm filter adaptor. 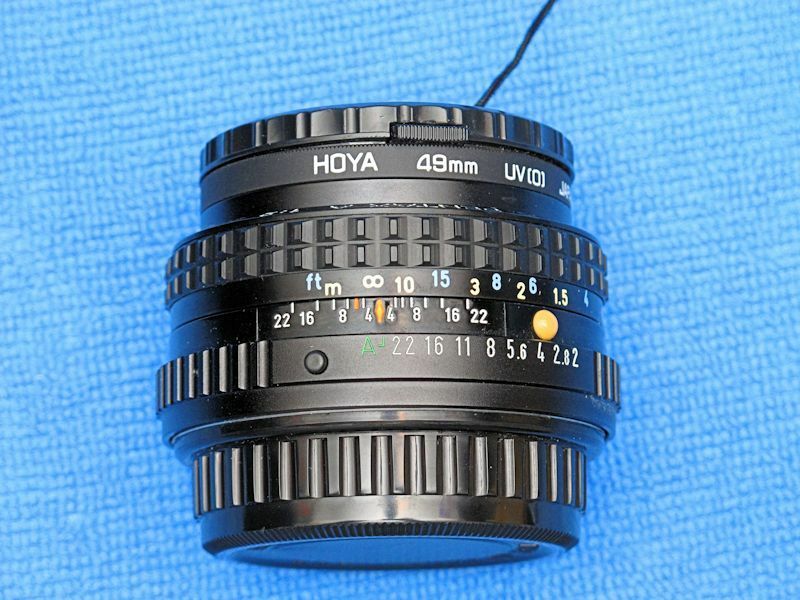 I bought this for the 40mm pancake lens because 37mm filters are a lot easier to find than 27mm ones. 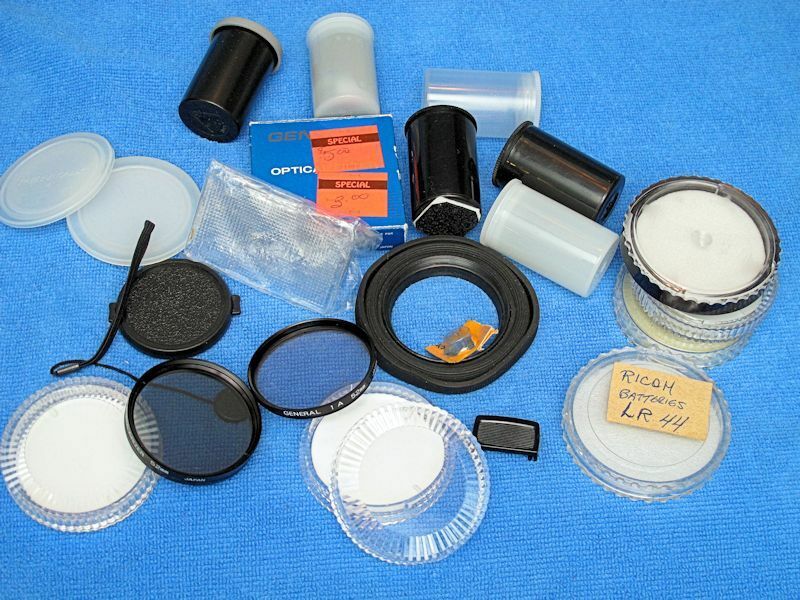 Also found here are the 2 extra mirror lens filters, and a Pentax K mount to M42 screw mount adapter. 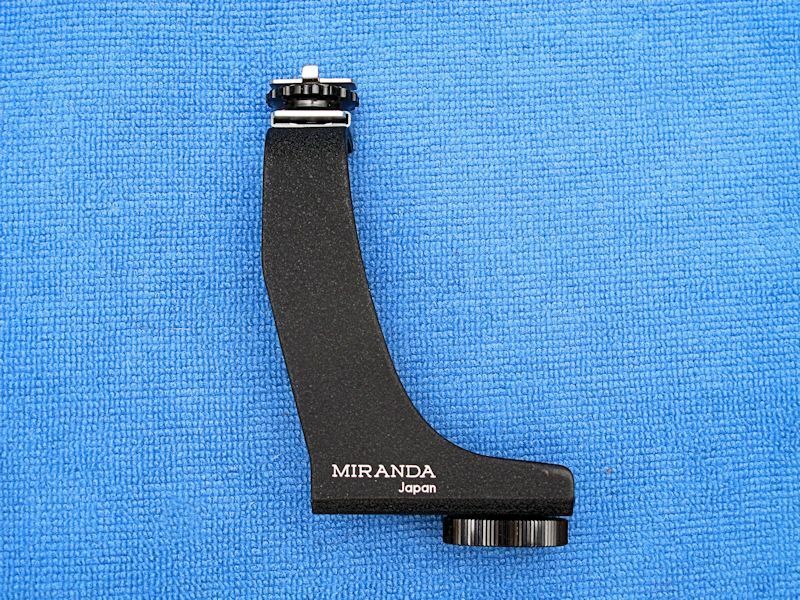 With this little adapter, I can attach virtually any screw mount lens to a modern day DSLR. The M42 mount was first used back in 1949. 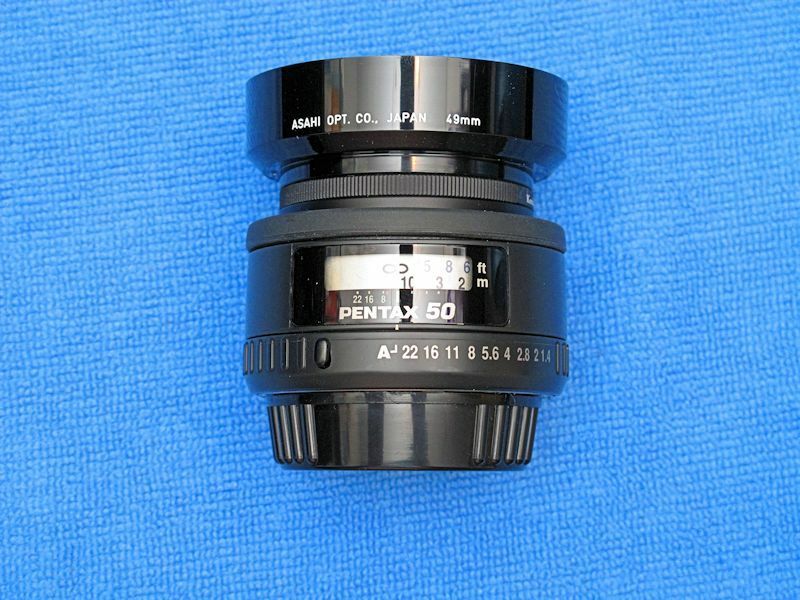 Unfortunately, the prices of older screw mount lenses have risen in recent times, and these old lenses are still viable on modern day Pentax cameras. 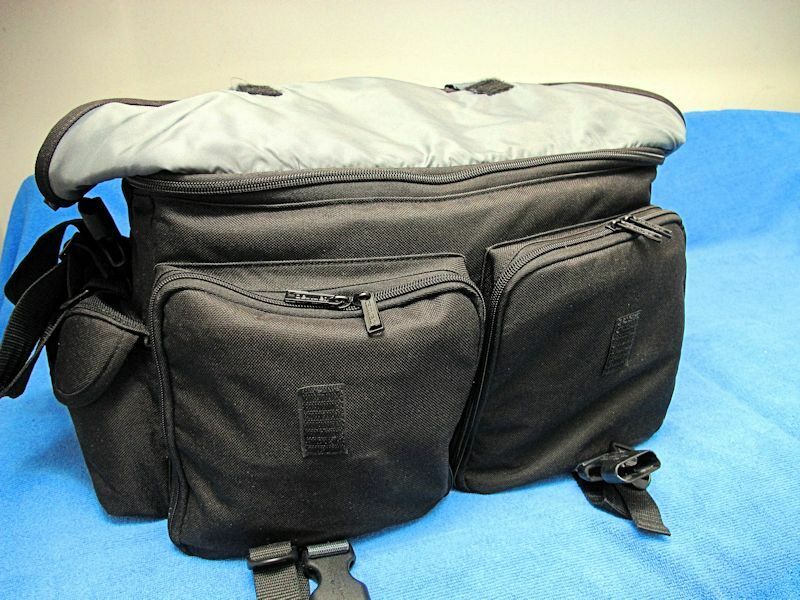 This concludes my tour of my Pentax DSLR camera bag. 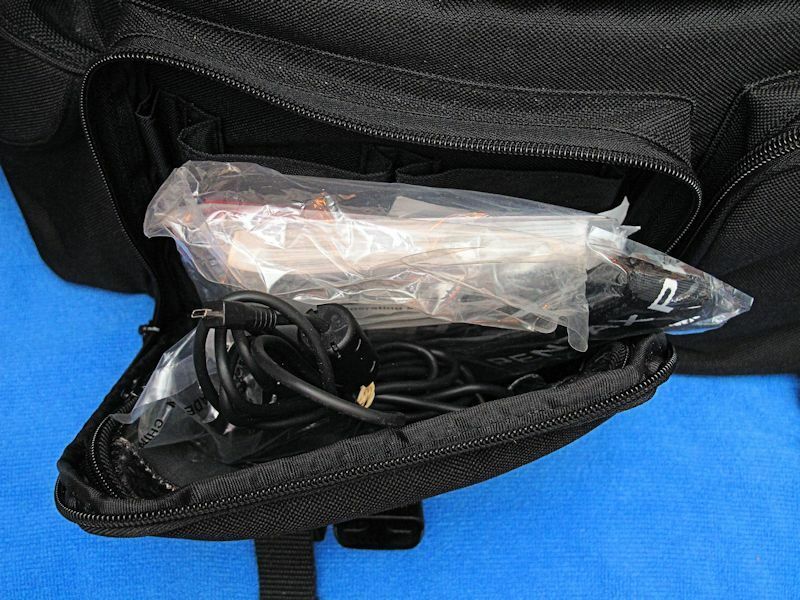 Re: What is in my Pentax camera bag? 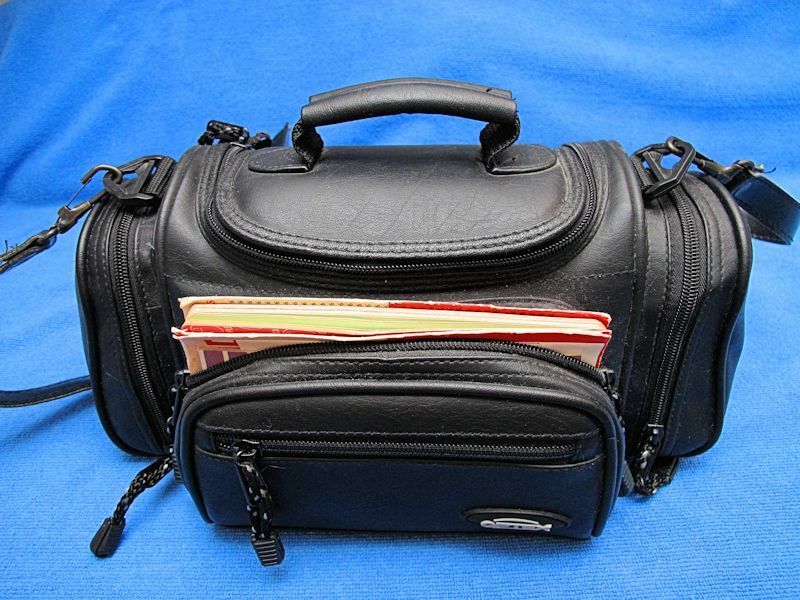 Thought I may as well go all out and show you the older Pentax system bag. This one consist of mostly 2 older 35mm film cameras and the related lenses. Why do I still have these you may be thinking. Other than my hoarding tendencies , both cameras have sentimental value to me. Not to mention, all these lenses also work with the above gear...which in my books is ultra cool. After taking photos of the kit, I can see that I should probably clean years of storage hair and dirt on the outer bag. I am happy to say the inside contents are nice and clean. 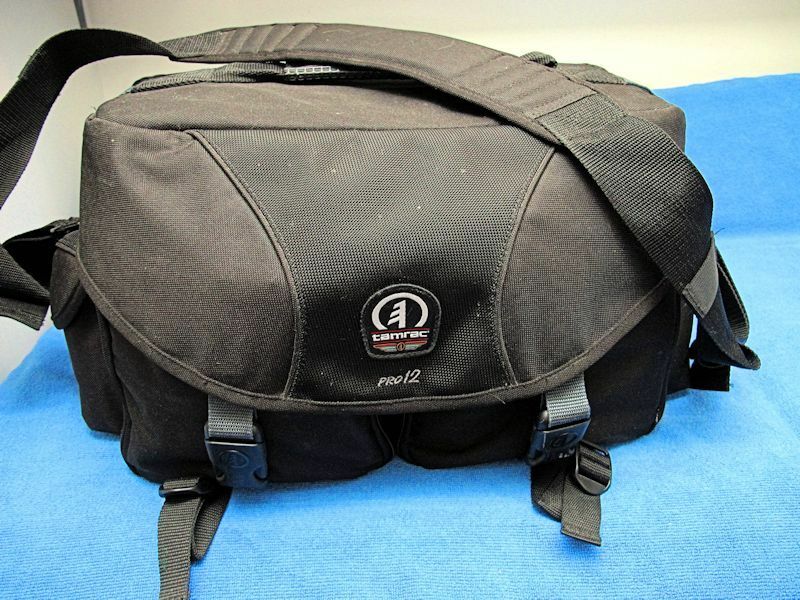 The old camera bag comprises of a large front pocket, and the main compartment. The front pocket contains a few odds and ends. In here are a lens pen, and glass cleaning tissue. Also present are a few special effects filters, mostly in 49mm. A Kenko soft special effect filter, and a Kenko Mirrage filter that breaks the image into 3. The third filter is an odd duck. 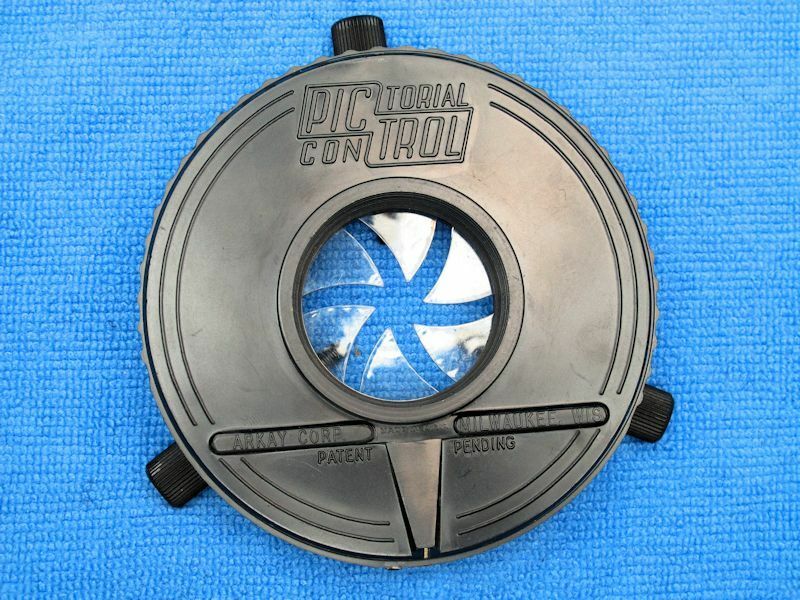 Meet the Pictrol Pictorial Control Filter. I found this interesting review online..
Now onto the main compartment area. Starting from right to left, stored in the front compartment is a Pentax P3 circa 1985/6. This camera has some sentimentality to it as it was my father's camera. 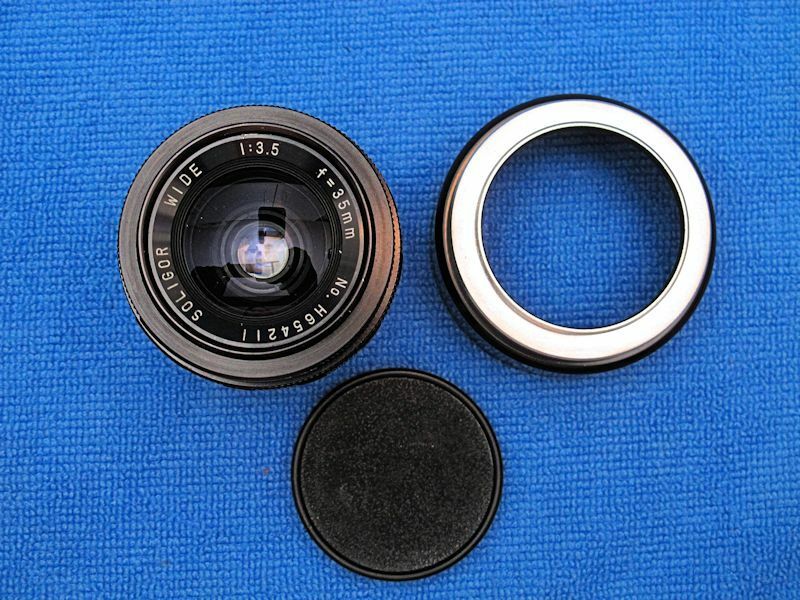 Stored on the camera is a Cosmicar 28mm f 2.8 lens. Back in the day, there were a lot of weird lens brands. Stored just behind the P3, in its own compartment is the Pentax SF10. I bought this back in 1986 for a photography class I was taking at the time in High School. I started off with an Olympus OM10, and about a month into the course, I upgraded big time to the Pentax SF10 after being amazed with another student's Minolta Maxxum 7000. That was the first time I had seen auto-focus. At the time, I had gotten a pair of Magnicon auto-focus lenses. 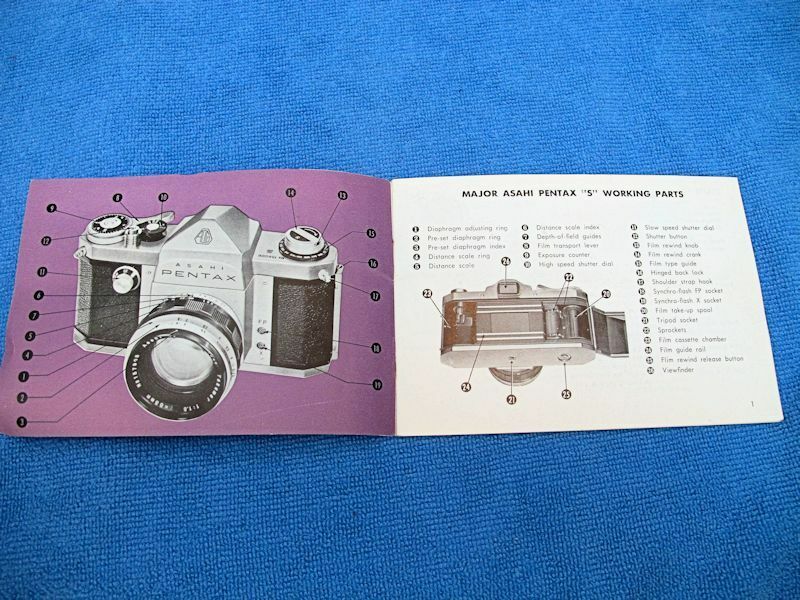 Magnicon was a store brand of Blacks Photography. The Blacks chain closed their doors a number of years ago. I still do not know who made them for Blacks...but I strongly suspect Tamron, or Sigma. These are first generation AF lenses...so speed isn't a consideration. On the camera, you can see a Magnicon MC 28-70mm AF f3.5-4.5 lens. What I really liked about the SF10, was the offset flash hot-shoe. It made perfect sense to move it over. Not only did it help eliminate red eye, but also placed the weight towards your grip. 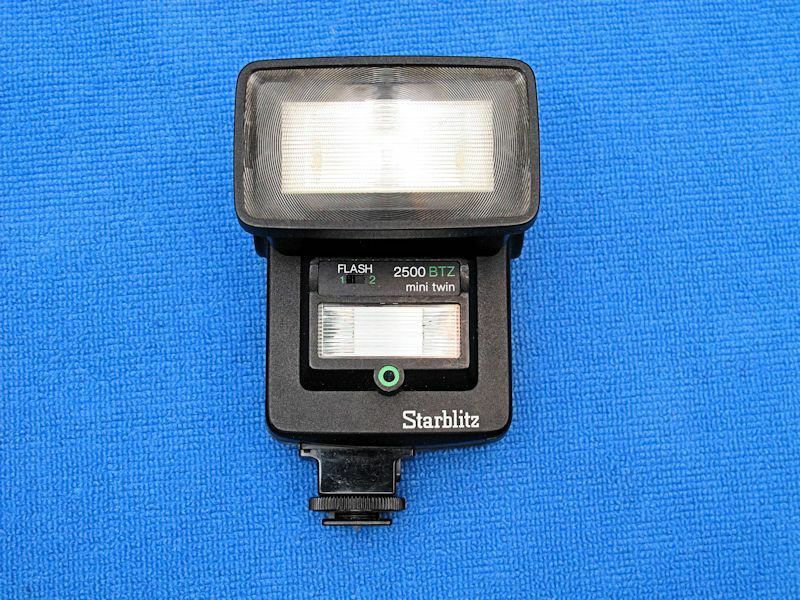 Moving towards the central area, is this Starblitz 2500 BTZ Mini Twin manual flash. Under the flash is an assortment of 35mm film canisters, camera body protectors, a pair of 52mm filters, one is a skylight filter, and the other being an old school circular polarizer, lens cap, etc. Stored in this central area is also another lens, an SMC Pentax A 50mm f2. This is a bit slow for a 50mm lens in my opinion. Wish it was an f1.8 or lower. Also in the central main compartment is a Magnicon MC 28-70mm AF f2.8-4.5 lens. I spied this lens a year or so later and noted the much faster lower speed on the wide angle end. 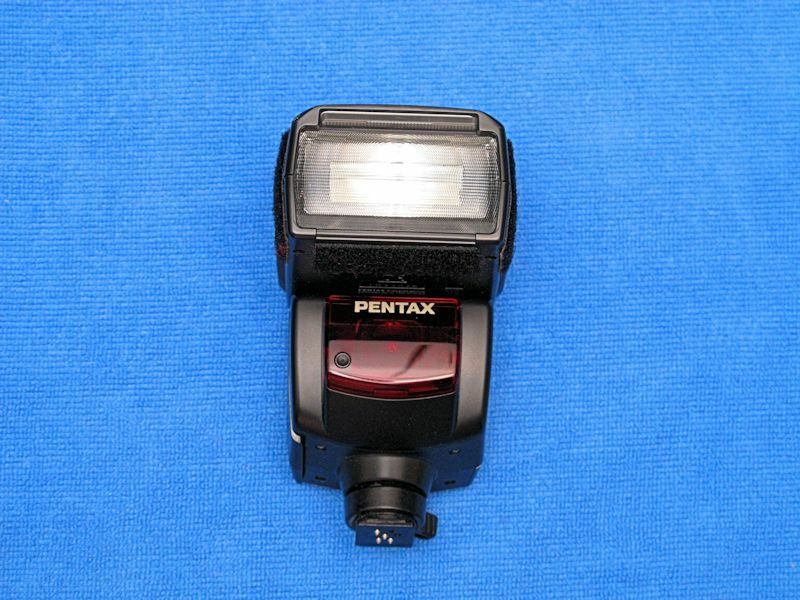 I couldn't afford a real Pentax flash at the time, but I did find something in my price range. 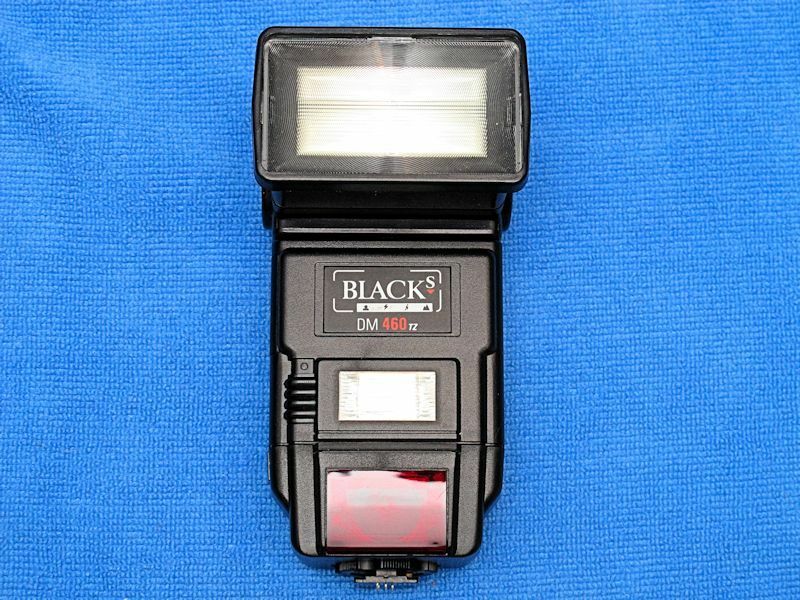 This is a Black's Photography branded flash with removable dedicated modules. This is a Blacks DM 460tz. What made this ultra cool at the time, was that auto-focus red light aid. I remember going into the darkroom and amazing fellow students with the camera's capability to focus in total darkness. Yeah, most folks don't even think about it today, but it was huge back in the mid to late 80s. I loved that the flash also had a smaller forward facing flash. Much like the Starblitz above, you could fire both off and get nice even coverage. 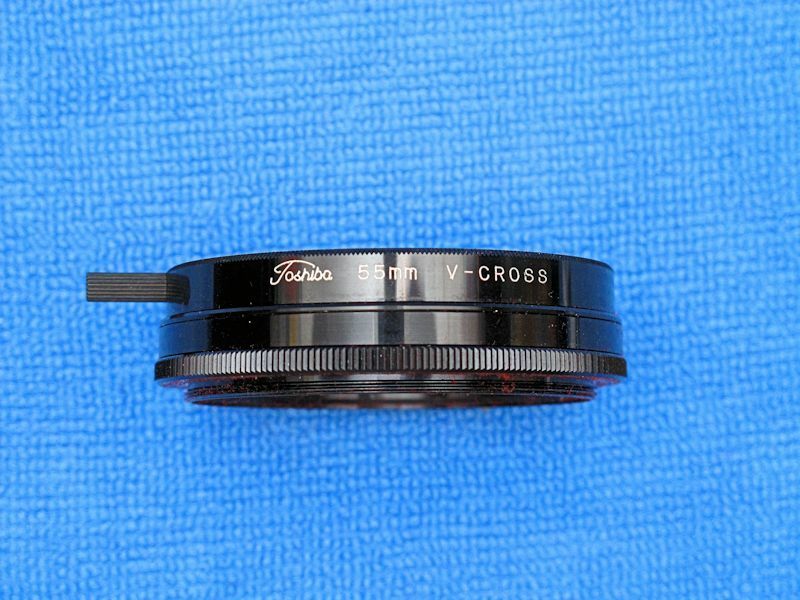 Now moving towards the left compartments, is a Toshiba V-Cross filter. Used for getting that star light effect for night time or any bright light source. This one allows you to rotate the two halves giving you infinite adjustments. 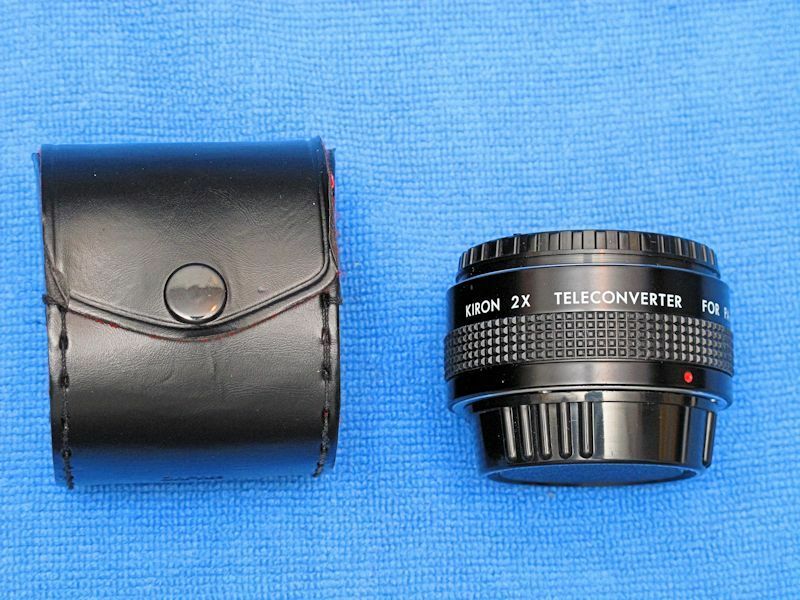 Found here is also a Kiron 2x Teleconverter. Used to double your focal length when attached between the lens and camera. 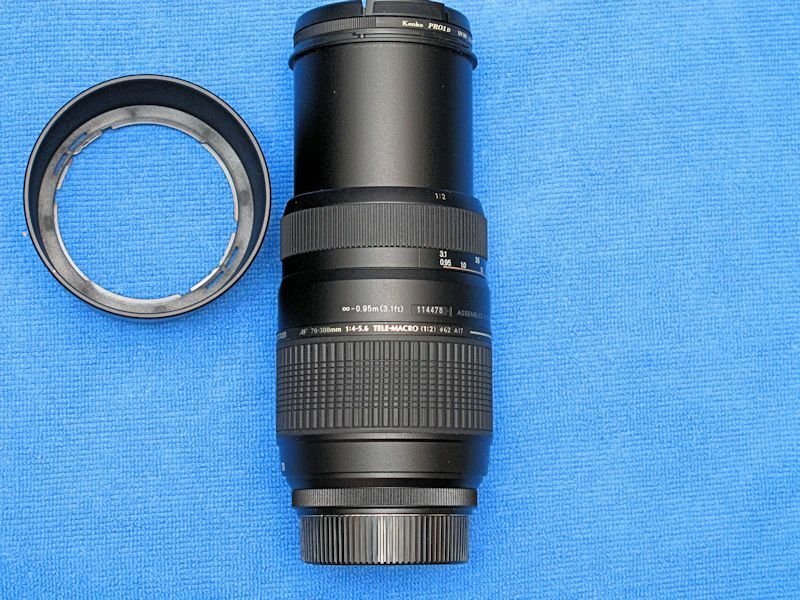 When I bought the SF10, I needed a pair of lenses...this is the second...a Magnican 70-200mm f4.5 AF lens. Stored on the left side is also a MC Hanimex 80-200mm f4.5 C Macro lens. 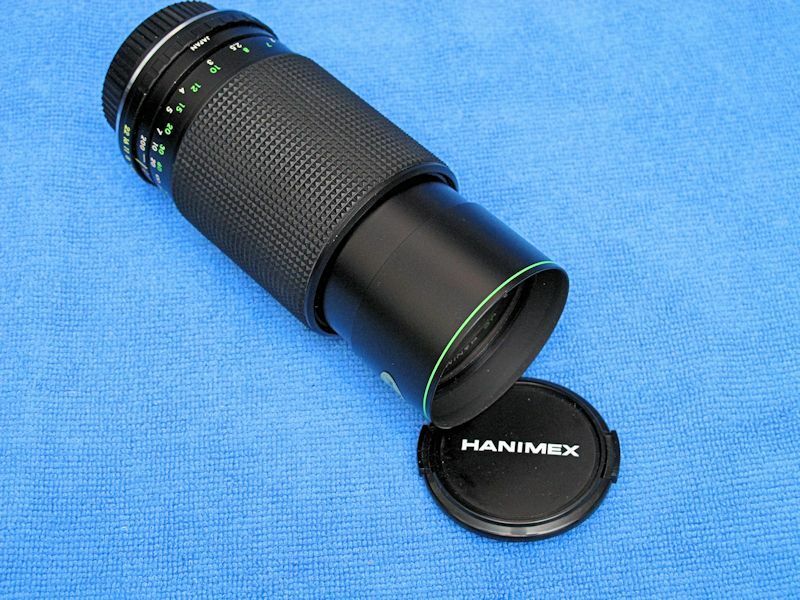 This manual lens features a built in sun shade that slides out. 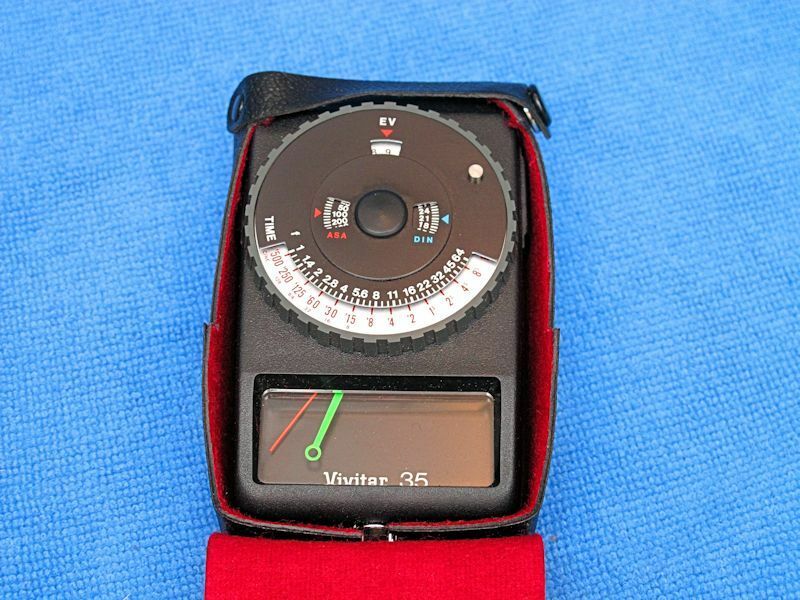 Last but not least, stored between the two large zoom lens, is a Vivitar 35 handheld light meter. This concludes this tour of my older Pentax kit bag. I must say, the thing I like about the Pentax system...all these older manual and even AF lenses are still usable on a Pentax DSLR. I dare say, the AF on the old Magnicon lenses increase because the motor is in the body and not the lens. With that M42 adapter, I could even use the old lens that came with the Pentax Asahi S, and that lens dates to the 60s. 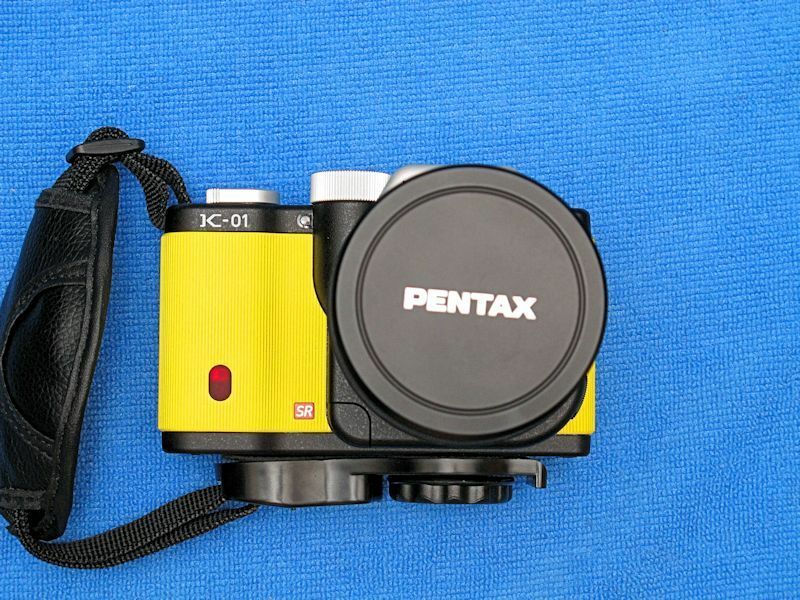 I almost bought into the Pentax system with the K10 way back when. Bought a bunch of the pancake limited primes then chickened out, couldn't afford to run two systems, I was shooting weddings full time during that period with a canon setup. I did not lust after the K-01 though. I currently use some old Pentax lenses on my Sony A7r though. 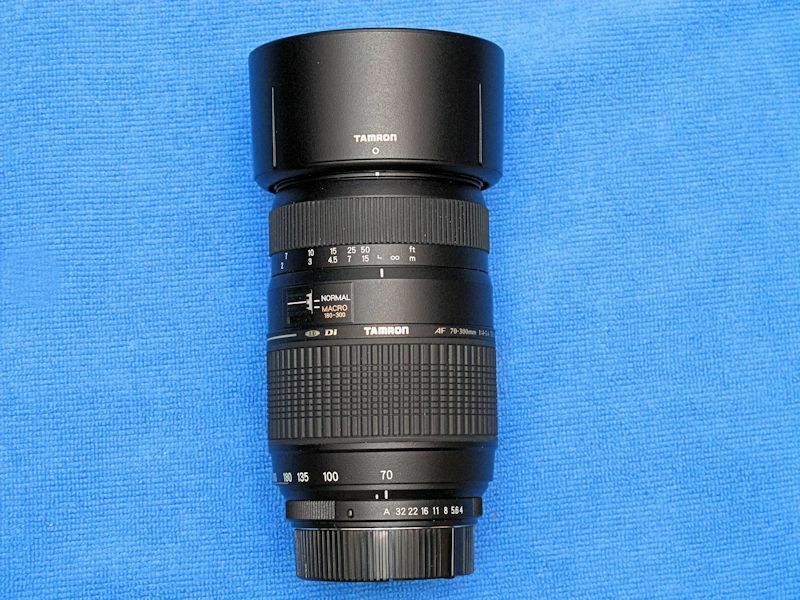 Namely the 35mm f2, 50mm 1.4 and 135mm f3.5 Super Takumar lenses. The 50mm lives on my camera as shown below, I like it so much I have two of them! Excellent lens and still dirt cheap. Those are M42 screwmount. I also have the K mount 85mm f2 which is a jewel of a portrait lens. 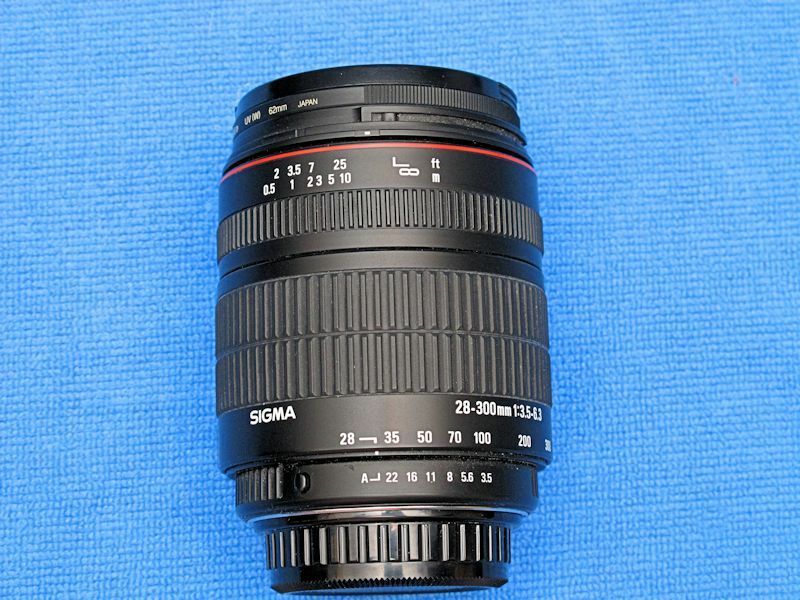 I had the K mount 24mm f2.8 SMC but wasn't hugely impressed and sold it on soon enough. Yes, I know I am in a minority when it comes to the K-01. The K10 had a lot going for it, especially for the pro minded folks. Here's a pic from the 35mm Super Tak. The Tak's have a wonderfully understated drawing style that I really enjoy. I guess we could call this part 3, as in another Pentax camera bag. Interestingly enough, there appears to be a theme...and that is one of time. 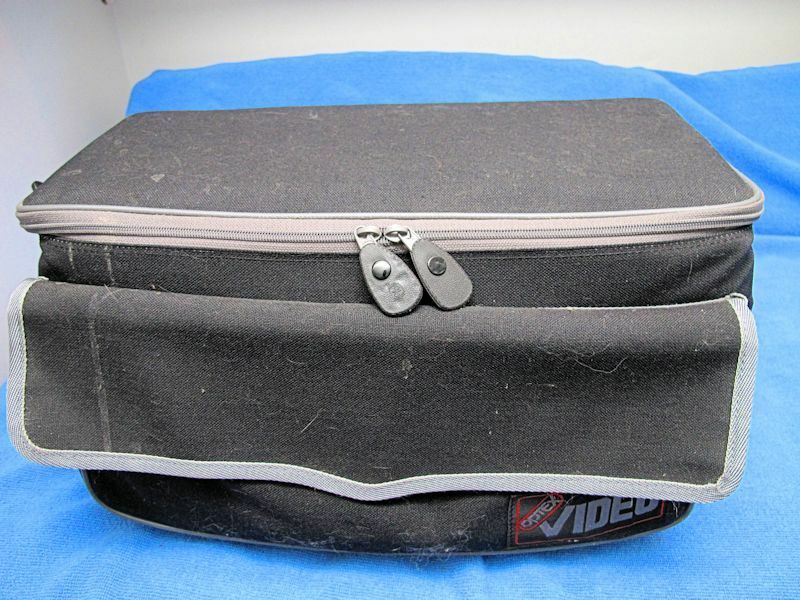 This last camera bag is the oldest and only contains one camera. This one will take you to 1958/9. 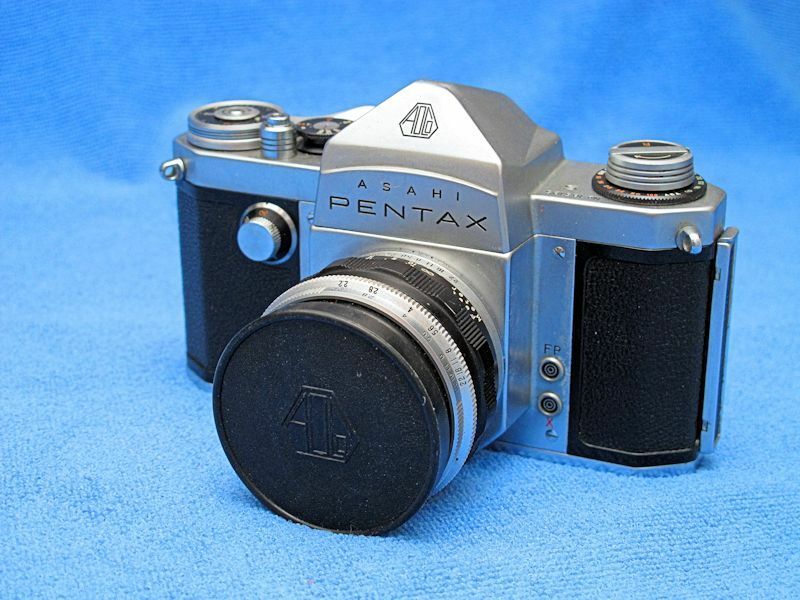 Many years ago, I found a nice looking Asahi Pentax camera for sale. I think I only paid 20 bucks for it at the time. I brought it home and stored it in a closet for quite a few years until I got around to looking at what I got. After some research, I couldn't believe what I had. Apparently only produced for around one year, with less than 4000 examples ever produced, is the Asahi Pentax S. Yeah, I found one of the hardest to collect Pentax's...and I wasn't even looking for one...and at a yard sale on top of that. Here is a bit more back history. 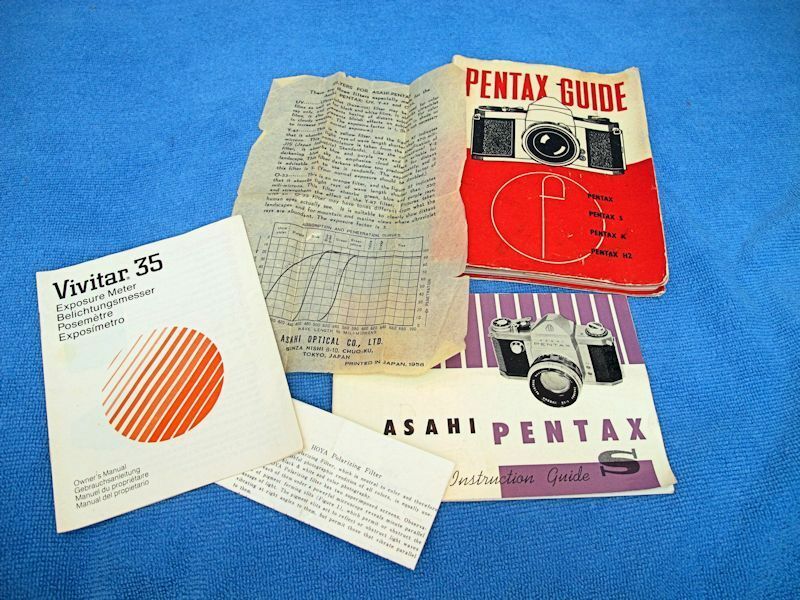 Excerpt from "Articles for Pentax Collectors - Asahi Pentax S". 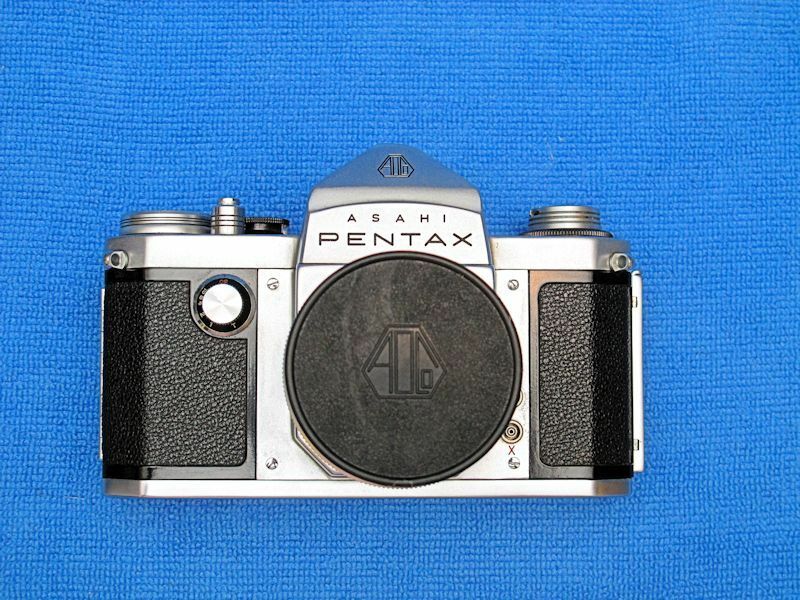 In April 1958, eleven months after the initiation of sales of the Asahi Pentax, AOC released the second of the pre-1959 pentaprism models; the Asahi Pentax S. The model S was the first AOC camera to carry the model designation on the body. 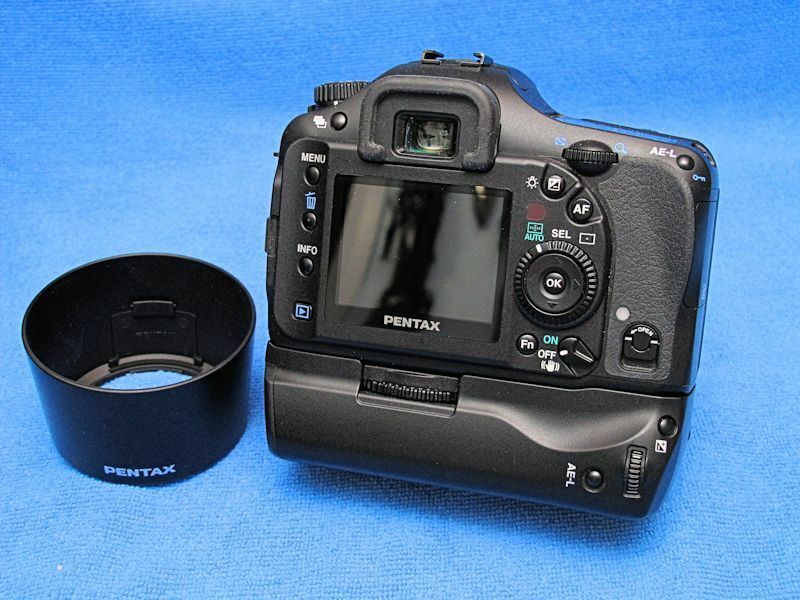 The substantive design alteration of the Pentax S was the movement to a revised progression of shutter speeds equivalent to those found on modern day cameras. With the exception of the aforementioned differences, the Pentax S was essentially identical to the Asahi Pentax. 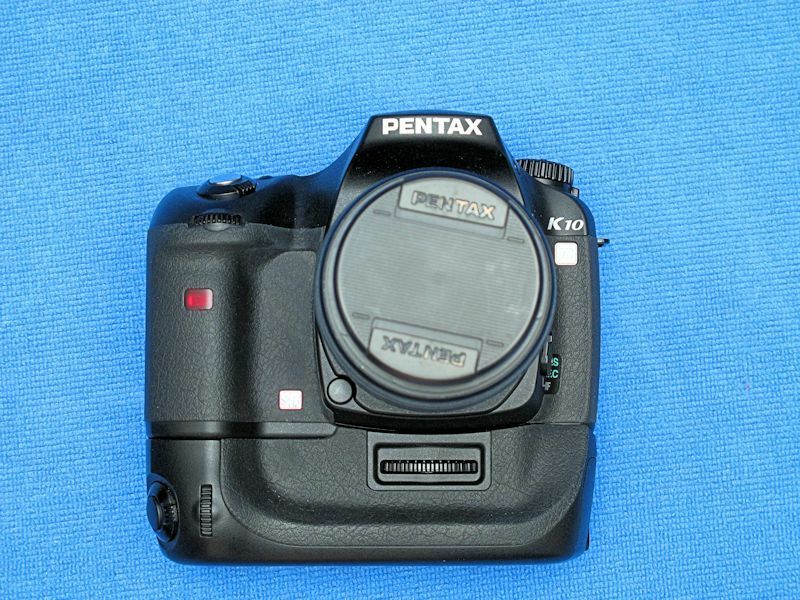 The model S was introduced just one month before the release of the Pentax K. It is perhaps most appropriate to think of it as a less expensive alternative to the Pentax K and not as a transitional model. A major advertisement in a U.S. photography magazine featured both the Pentax S and the Pentax K, and promoted the cameras based upon differences in features and price. 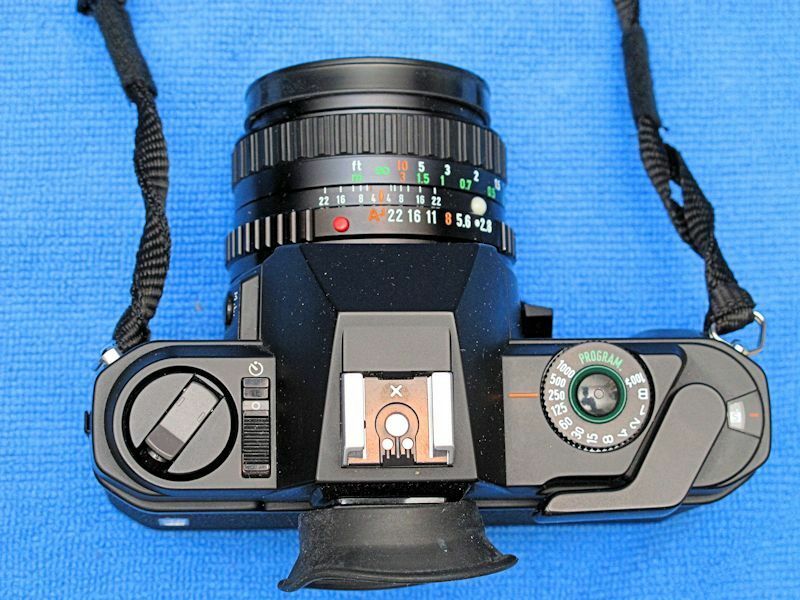 As with the Asahi Pentax, the model S was available in an all black enamel finish. Asahi Pentax S examples have been reported without the S designation, however, such cameras appear to be non-AOC hybrids of S models and an Asahi Pentax body top. 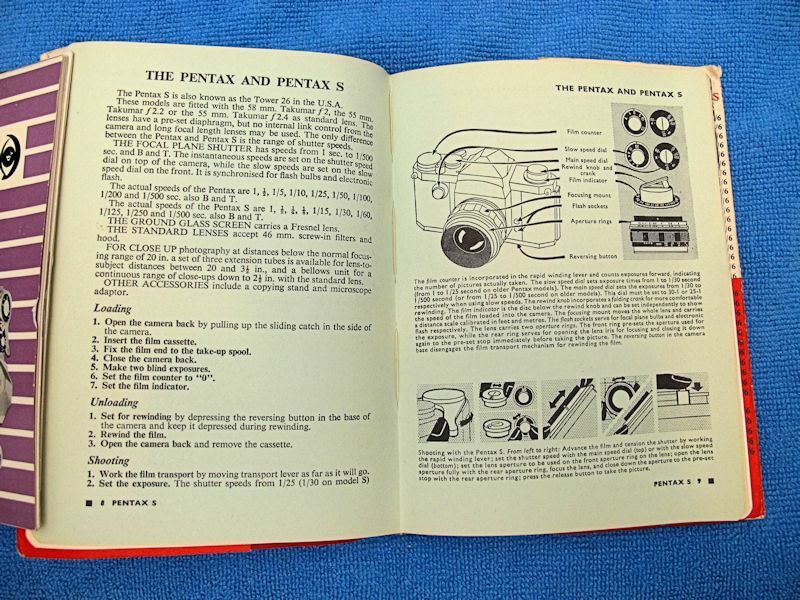 The Pentax S was produced concurrently with the Pentax K, and was discontinued in May, 1959. 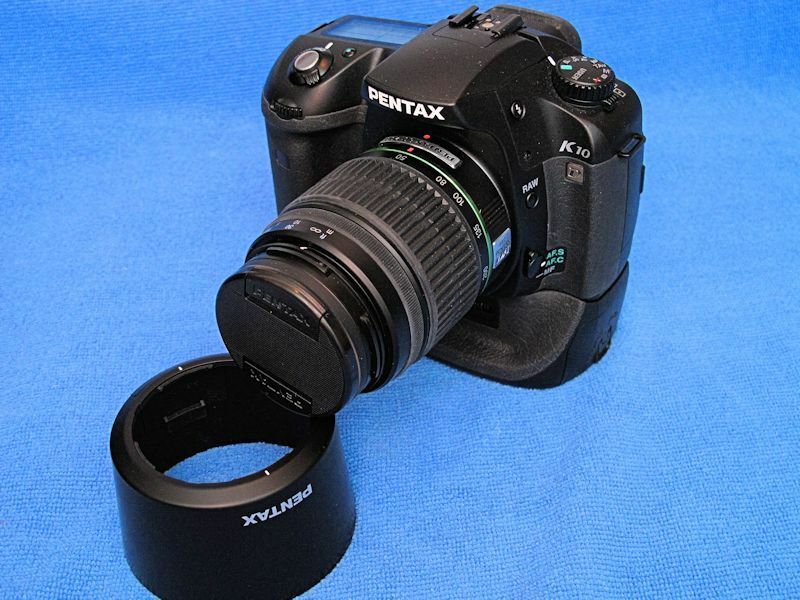 The Pentax S was identified as having two standard lenses; the 55mm f/2.2 Takumar, and a 55mm f/1.8 Takumar. 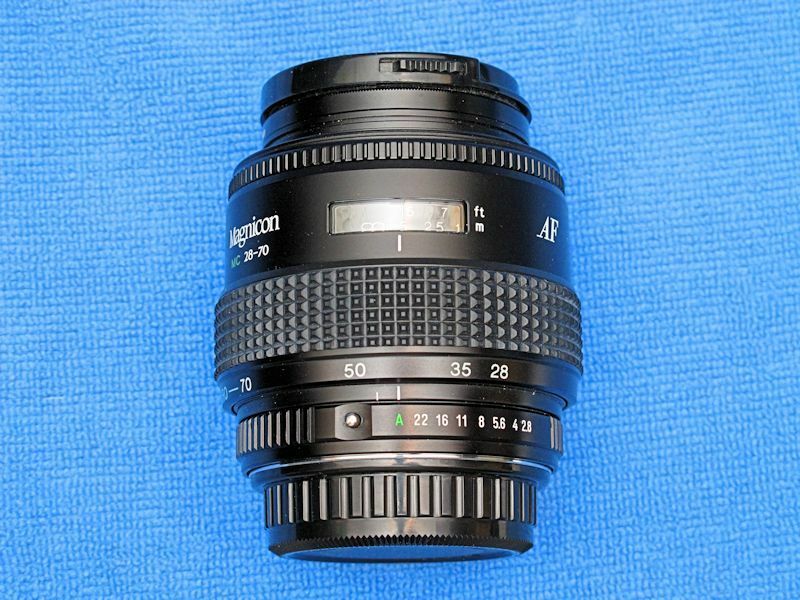 The 55mm f/1.8 was a newly developed model, and is perhaps the predecessor to the 55mm f/1.8 Auto-Takumar introduced with the Pentax K. It should be noted that a review of AOC literature indicates that by the time the model S was available, AOC provided photographers with a full range of optics which included 35mm f/4, 83mm f/1.9, 105mm f/2.8, 135mm f/3.5, 300mm f/4, and 500m f/5 models. 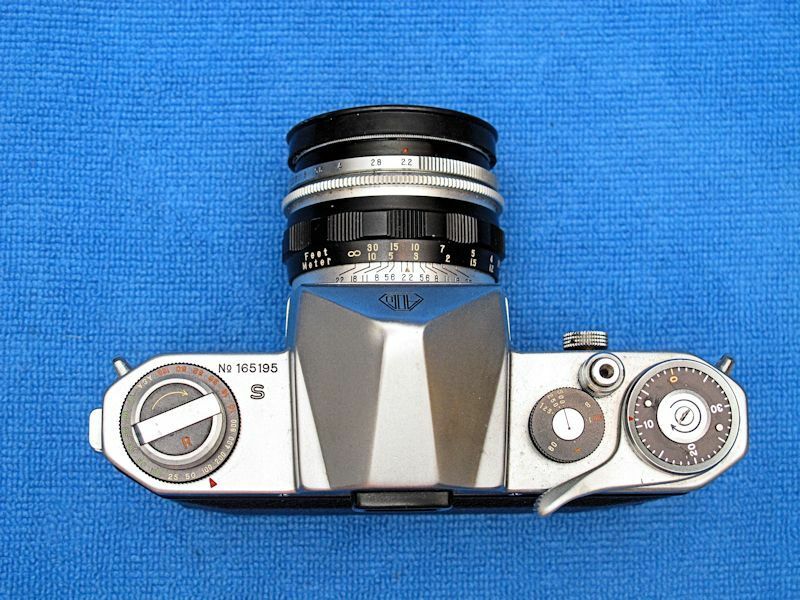 In addition, AOC information indicates that the 1,000mm f/8 Takumar was released in May 1958, just one month after the release of the Pentax S.
In the previous account provided on the Asahiflex cameras, I stated that it appeared that the Asahiflex I was the second least produced standard production AOC SLR model. I made that statement because information collected during my review, as well as a study of serial number clumping characteristics indicates that fewer Pentax S cameras were produced than any other standard production model. When I refer to "standard production" models, I am excluding motor drive bodies and special use pieces for medical or law enforcement purposes. 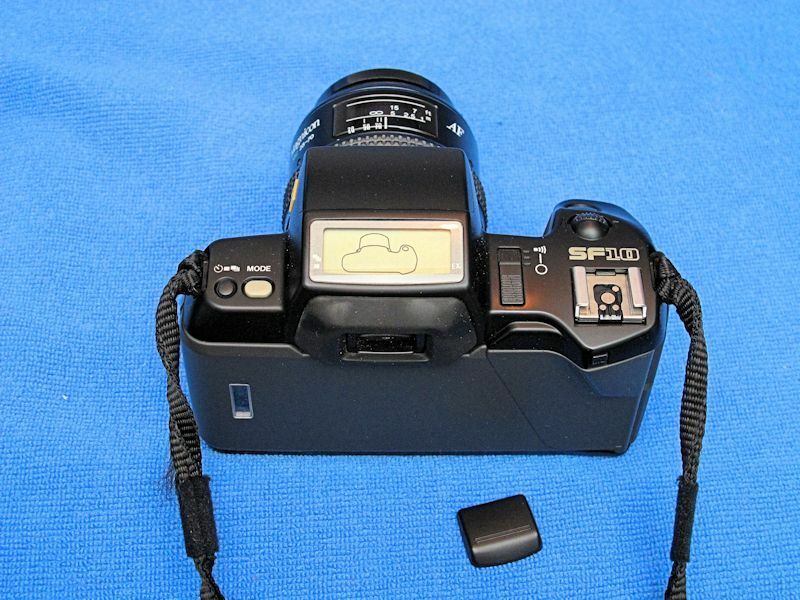 For this reason, the Pentax S is a very difficult camera to locate in any condition. 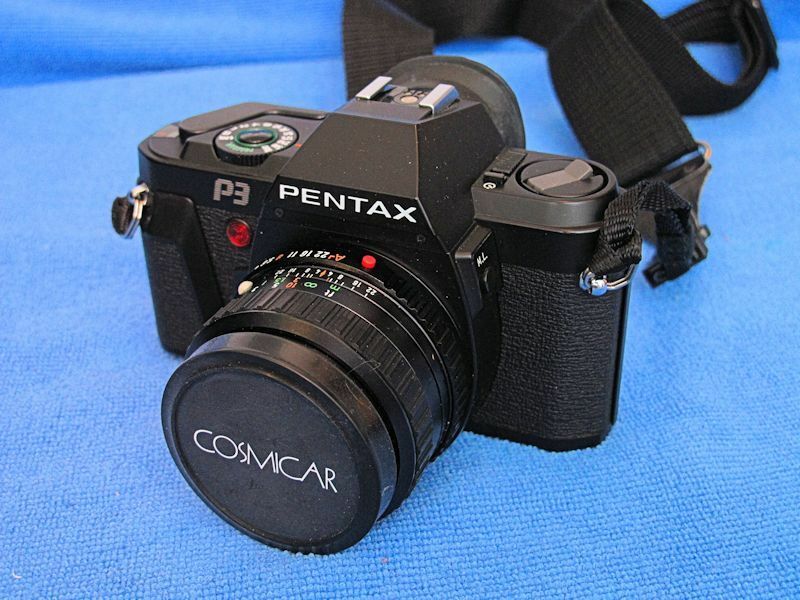 Collectors building an AOC collection, should purchase examples of the Pentax S whenever possible. My example has an ever slight dent on one of the corners of the pentaprism housing. The camera functions 100%. After some research on the serial number, I found that my example is a late production S just before it was canceled for the Asahi Pentax K model. I found a just right camera bag to carry the camera and all of the accessories it came with. The front pouch contains all the paperwork. 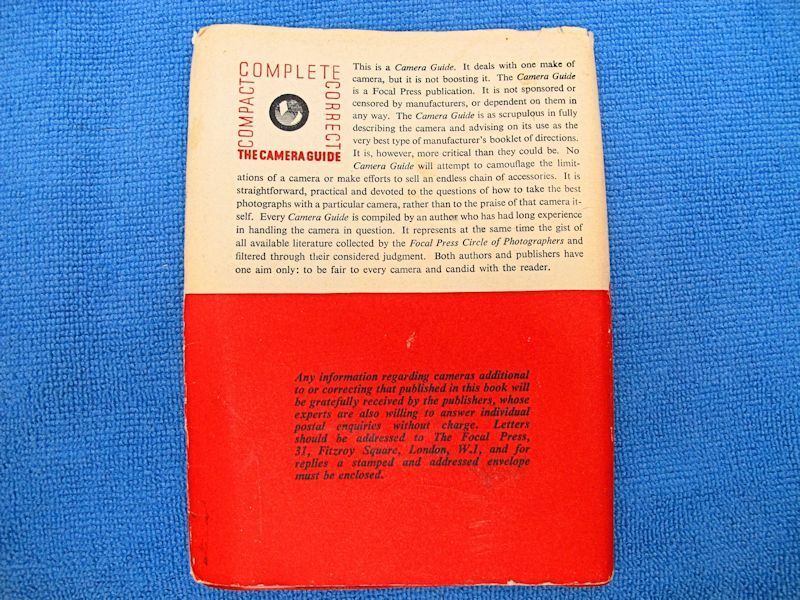 The original manual (I wonder how rare that is? 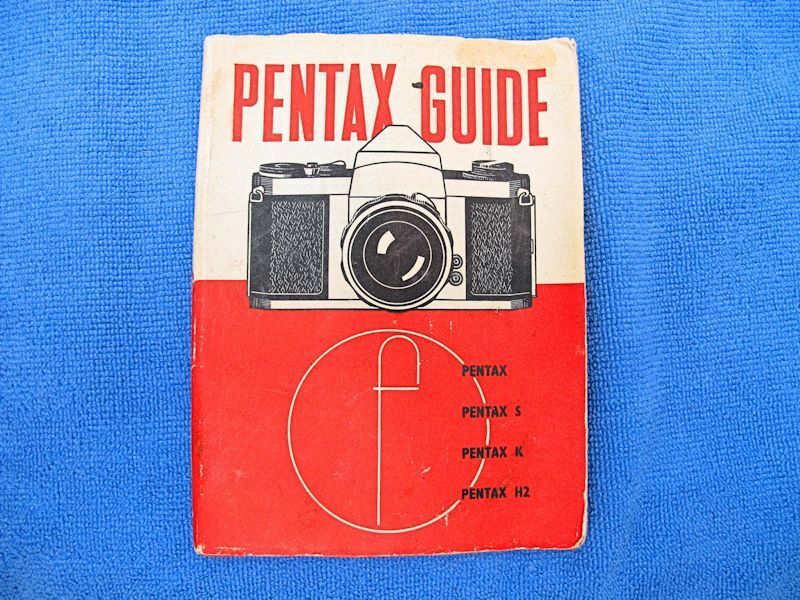 ), along with a period Pentax Guide, and of course, the instructions for the manual flash. A sneak peek inside the manual. 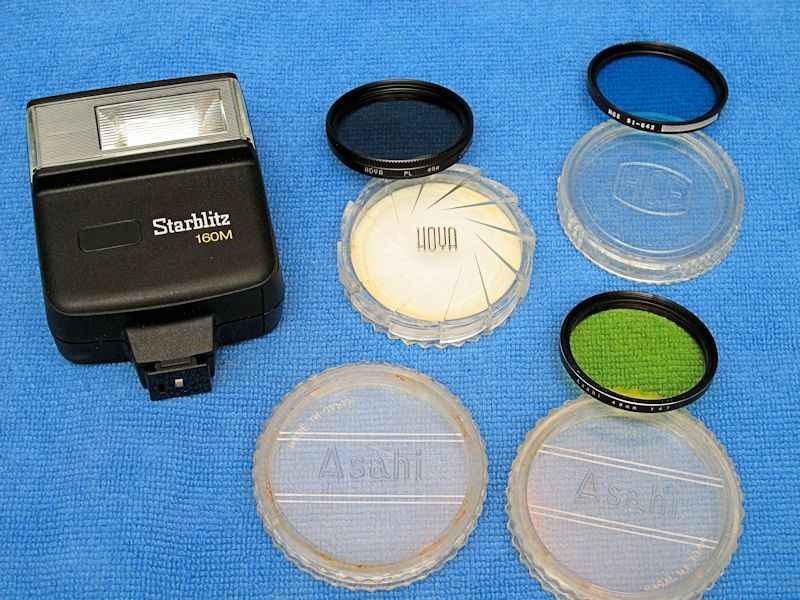 In the right side pocket is the included Starblitz 160M manual flash, and a few filters. 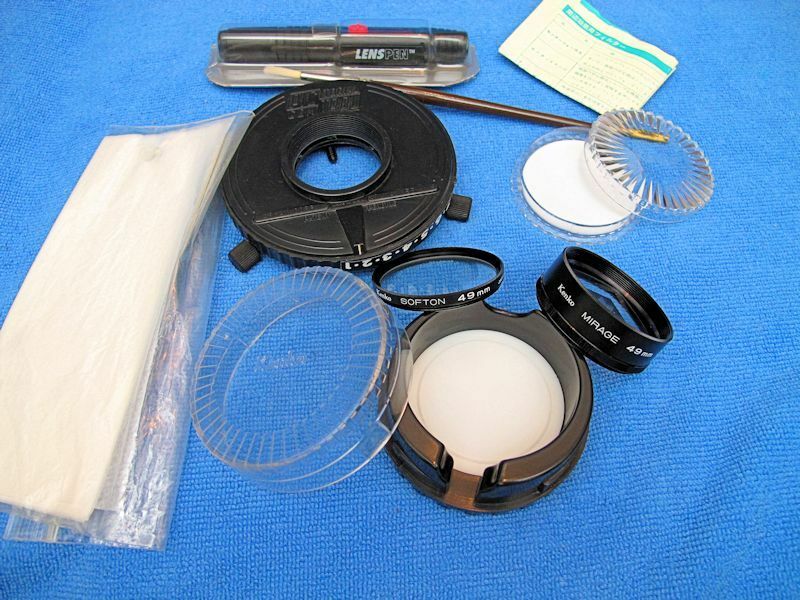 Included is a Hoya polarizing filter, an Asahi Y47 yellow filter, and an HCE 81~642 blue filter. The colour filters are for black and white photography. The flash dates to either the late 70s to early 80s. 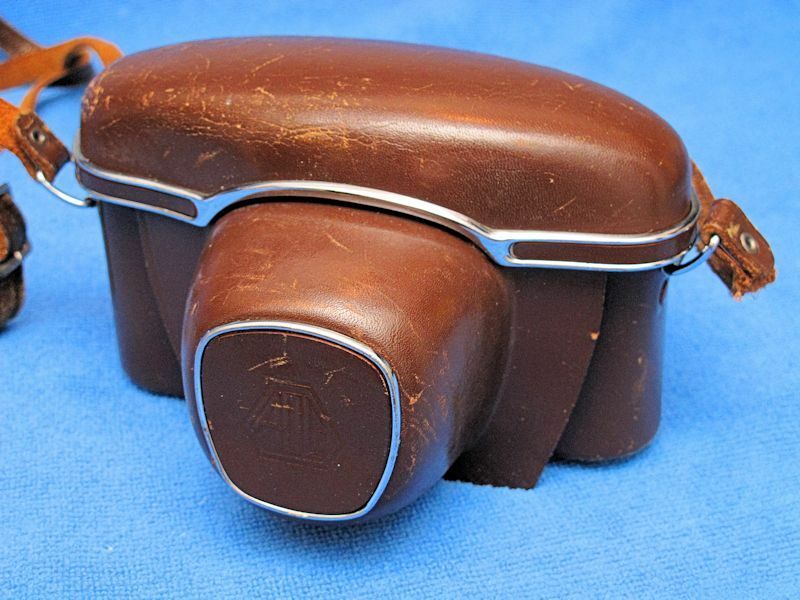 In the left side pocket resides a Soligor 35mm f3.5 screw mount lens with a metal sunshade. The main compartment contains a Miranda flash bracket. 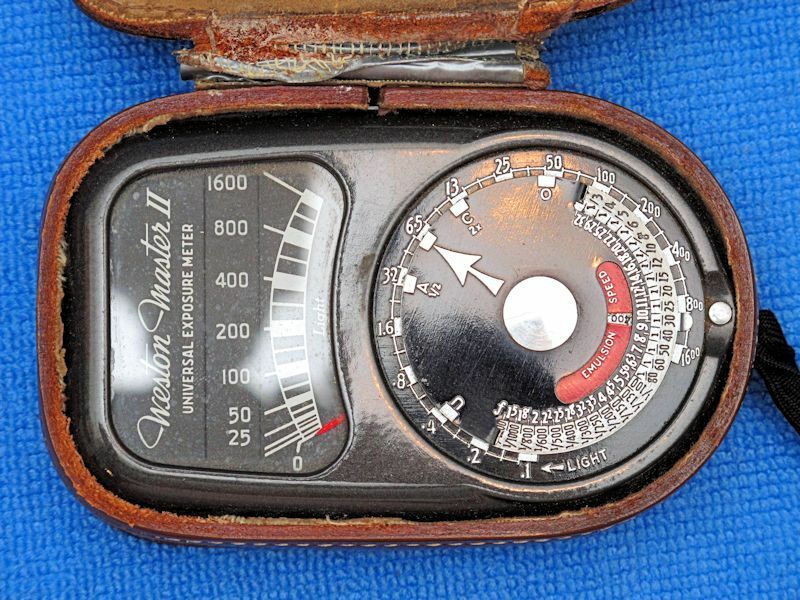 A Weston Master II handheld flash meter. And a Asahi Pentax S. The leather case is still in very nice condition. 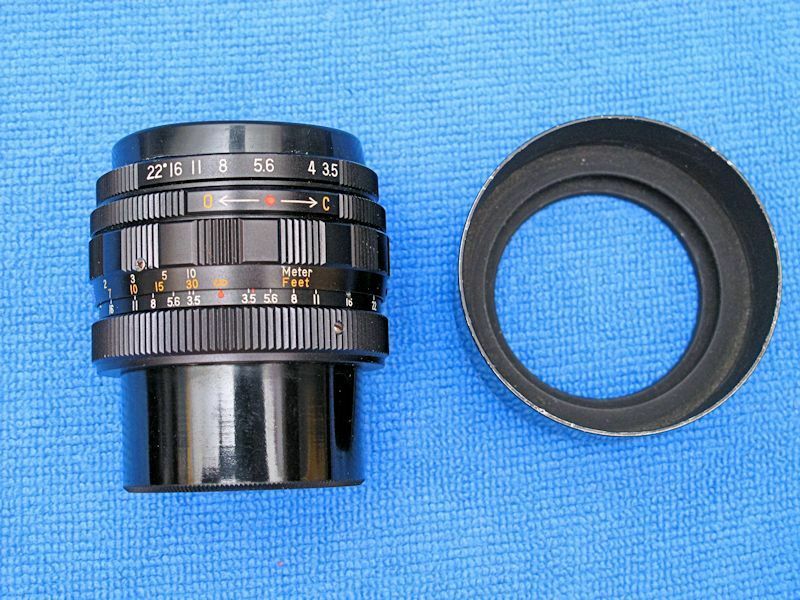 The lens is an Asahi Takumar 55mm f2.2, and is one of 3 different lenses that the S was shipped with. That is some impressive photo gear, Chako! My crappy digital camera is crying right now. I absolutely love my K-01. My K-30 sits at home most of the time, and the K-01 comes with me almost everywhere.... except for hikes. Where weight is a concern, I carry my Q. Usually with either the 01 prime or 06 zoom attached. That Ashi S is indeed very nice. Pentax had a way of making cameras whose design just worked for someone looking for a picture taking machine. A great example of this was the K1000, until the digital age still touted as one of the best beginner cameras to be had because it taught photography as a craft rather than a technical exercise. I used to be on Pentaxforums years ago. Another K-01 fan...we are in the minority it seems. Agreed, the K1000 was the quintessential learners camera back in the film days. I actually hated my K1000. 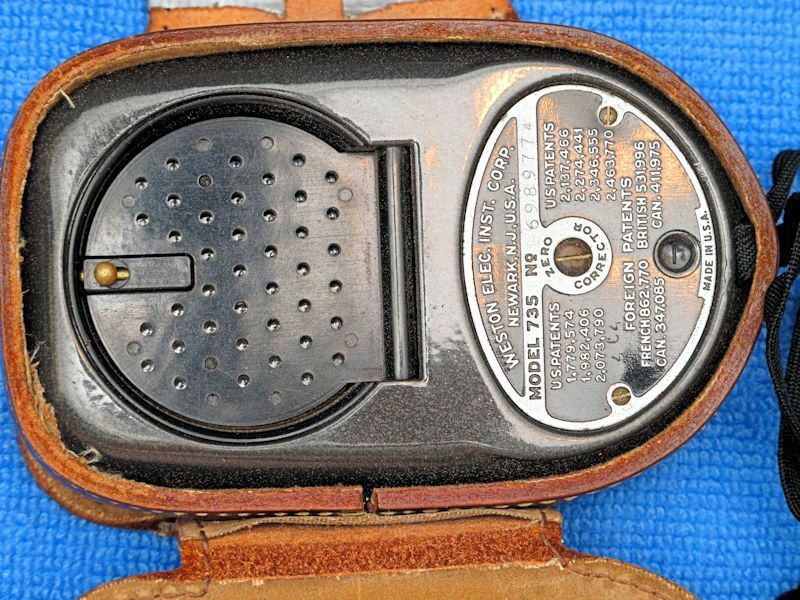 The light meter was unreliable in anything but the strongest light, and the battery would wear down constantly even with the lens cap on, as light would enter from the eye piece. It also has a regular microprism focusing screen, which is a frustrating focusing experience unless your subject is completely still and you have plenty of time to stand there and focus. I find the Super ME to be a far, far better manual camera. 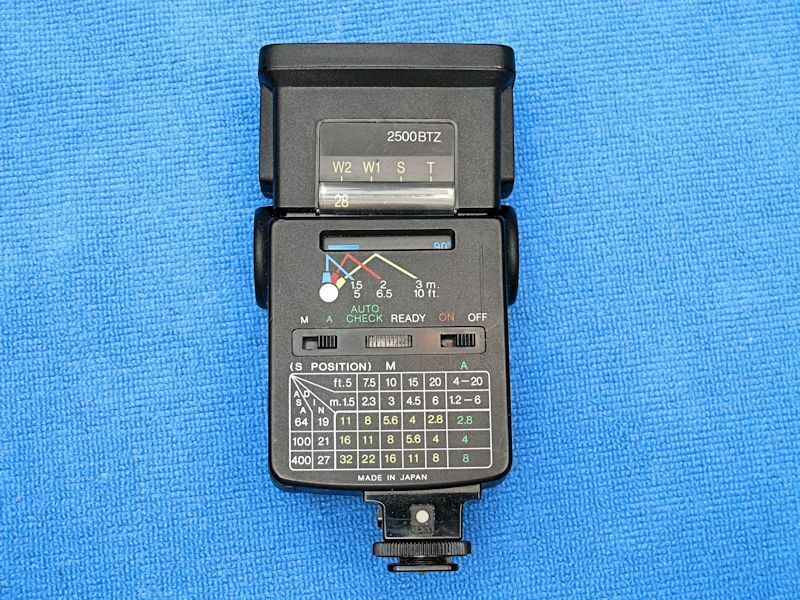 It has a really nice light meter and a split prism focusing screen. It's far easier to focus, far easier to tell what the light meter is doing, and just an overall pleasure to use.